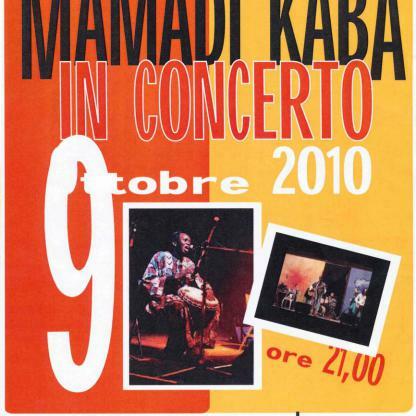 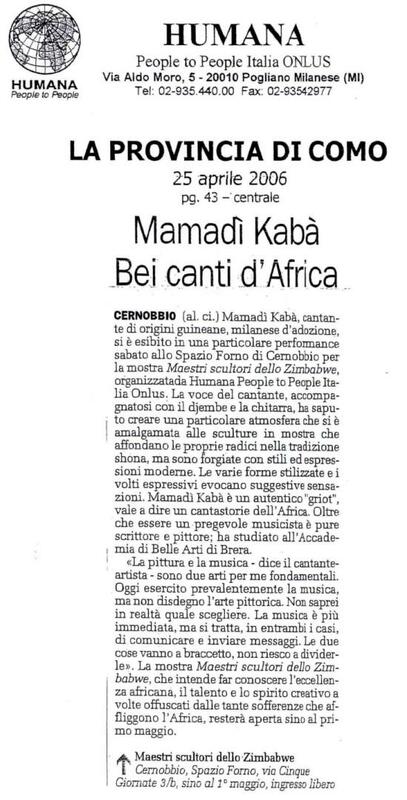 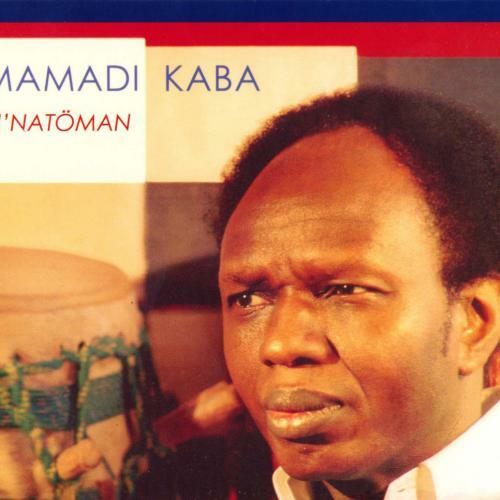 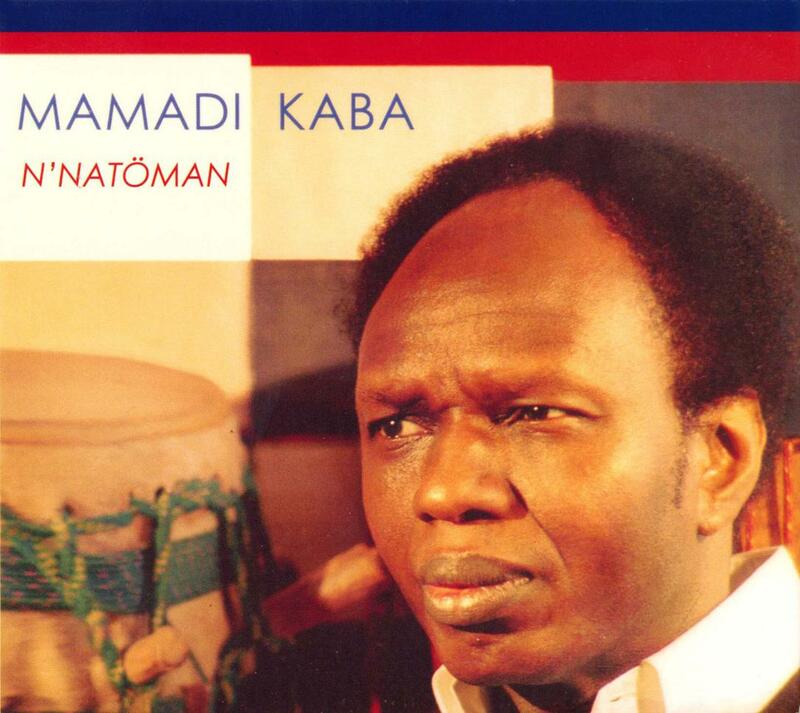 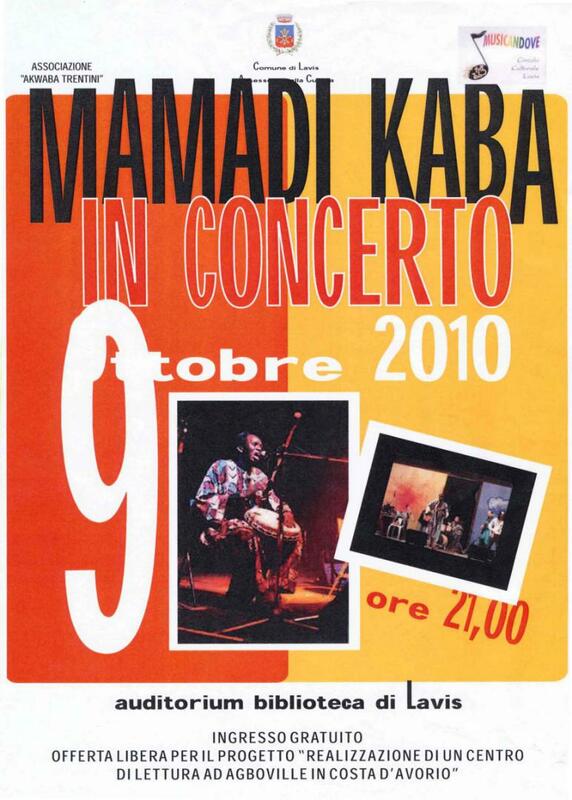 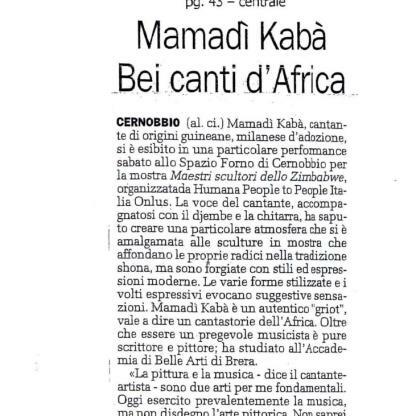 For Mamadi Kaba the music is universal. 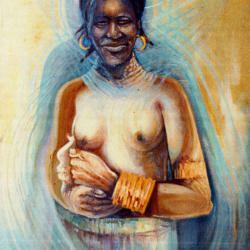 Sacred bond between men, she is life. 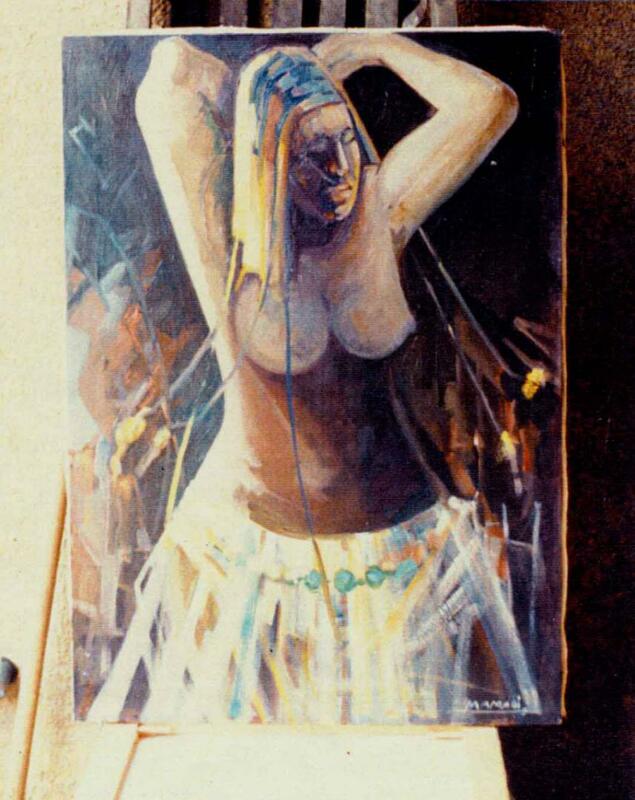 A confirmed painter, an accomplished musician, he composes his music as a painting, translating color sounds and colors into musical paintings. 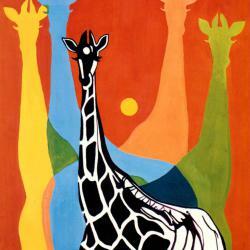 Its chromatic range is wide. 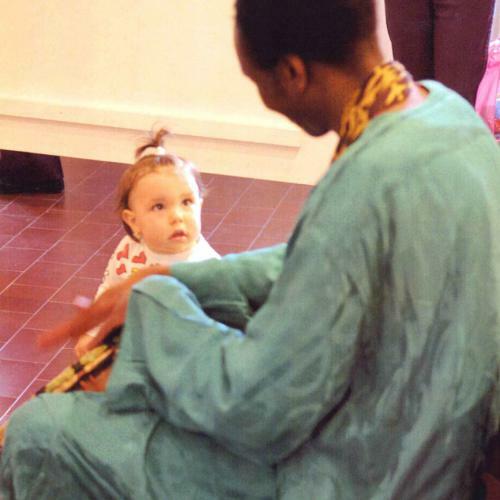 It is open to the true nuances of the world: those of shared encounter and inspiration. 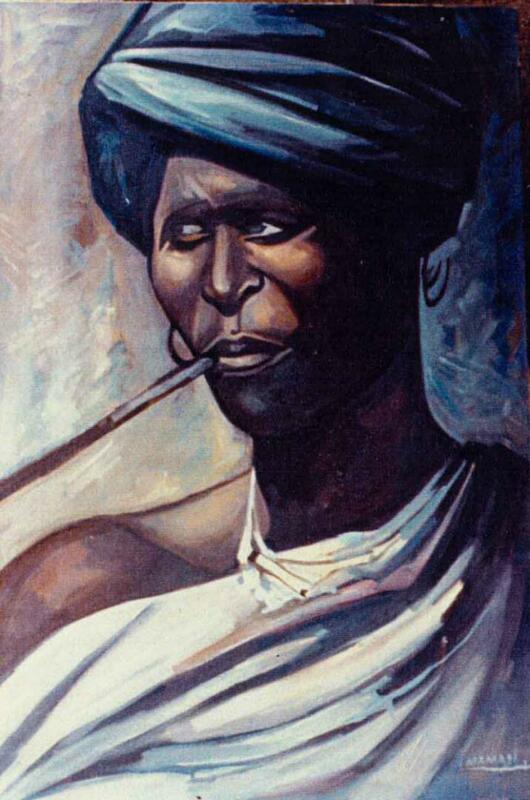 Out of any mercantile or folkloristic circuit, the art of Mamadi privileges integrity and openness, fundamental values of its original land. 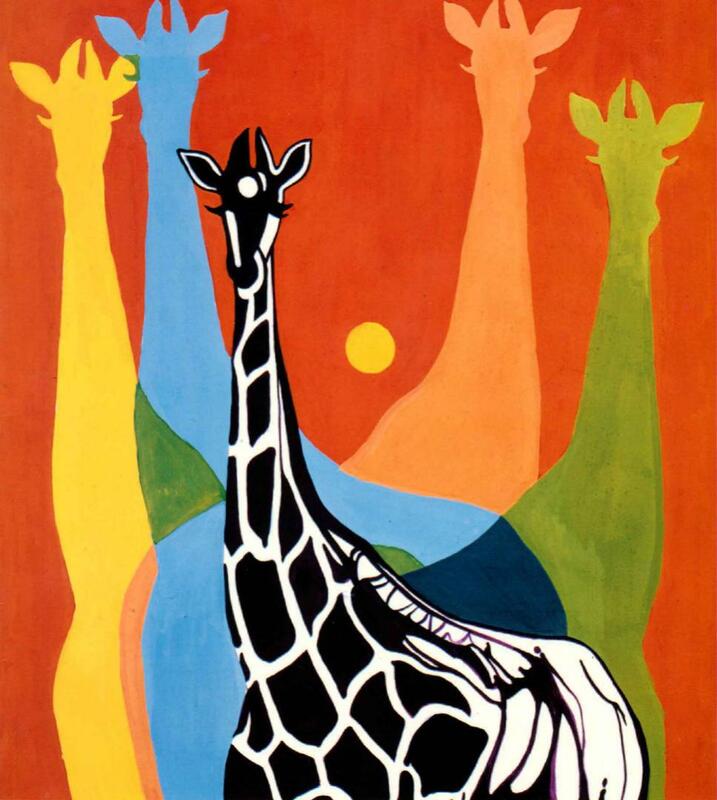 We invite you to travel between meaning and color! 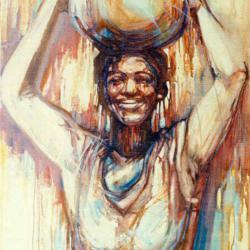 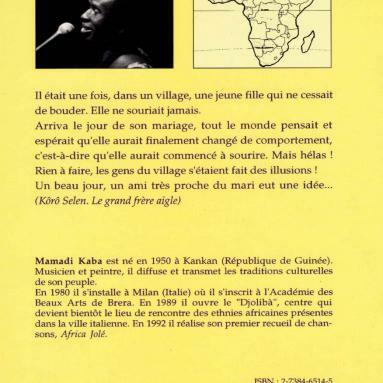 MAMADI was born in Kankan (Guinea, a country in West Africa). 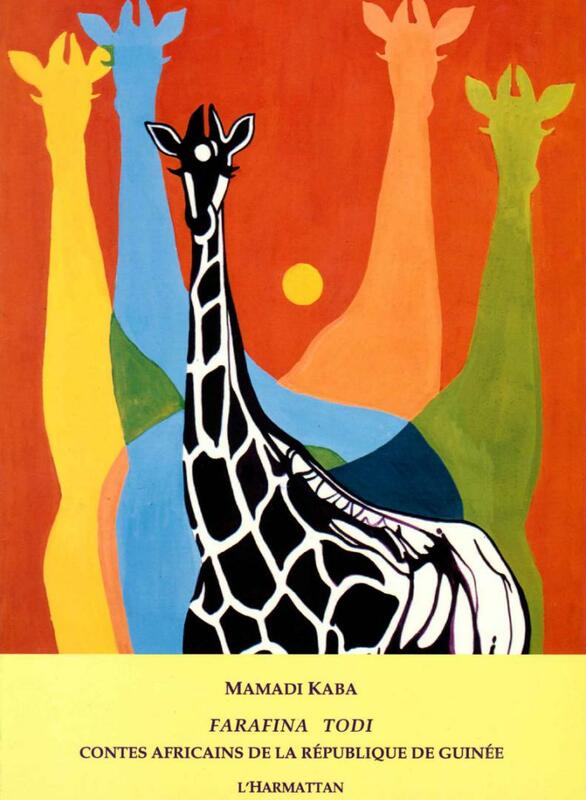 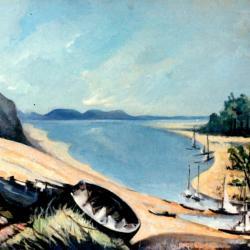 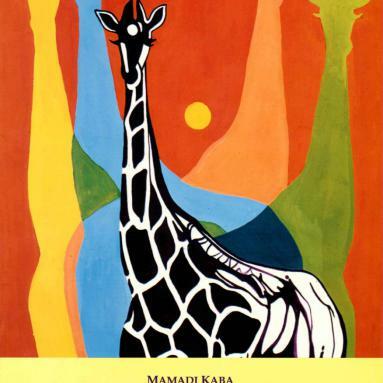 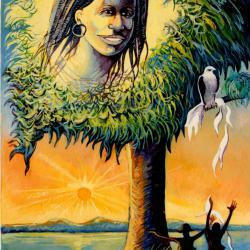 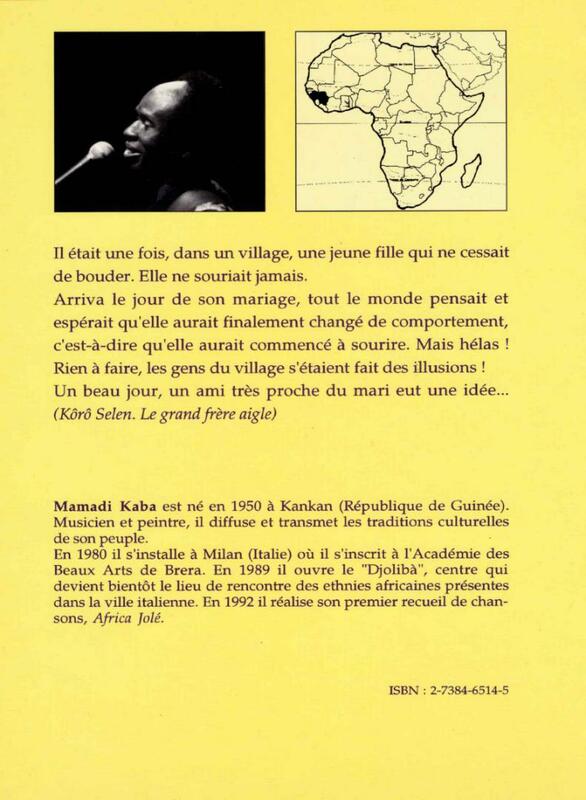 Kankan is a town in Upper Guinea, where Mamadi learned to draw, paint, sing and play various musical instruments. 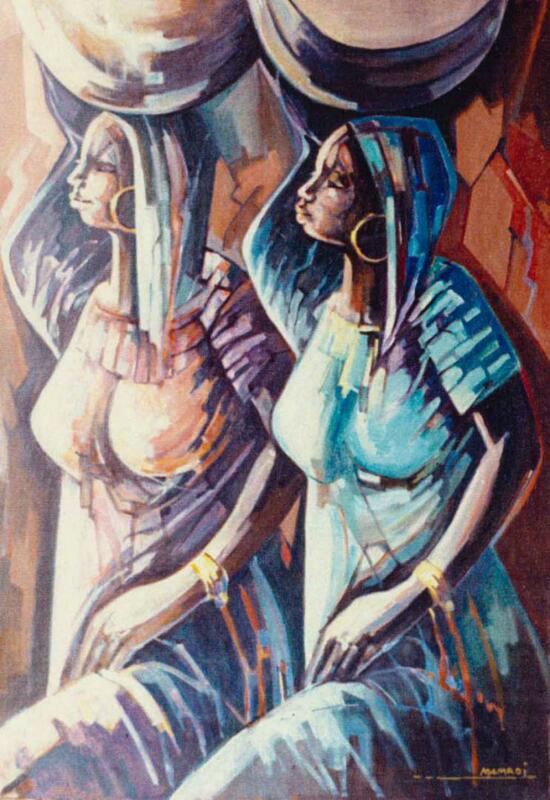 First, he attended the National School of Applied Arts in Belle-vue of Conakry, where he graduated in Graphic Arts in 1972. 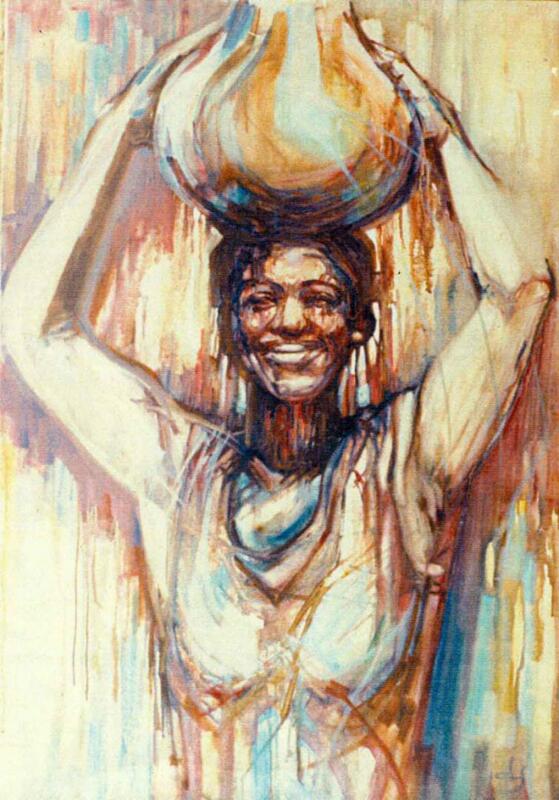 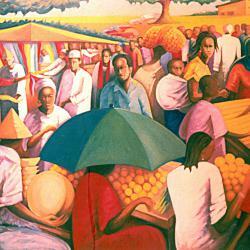 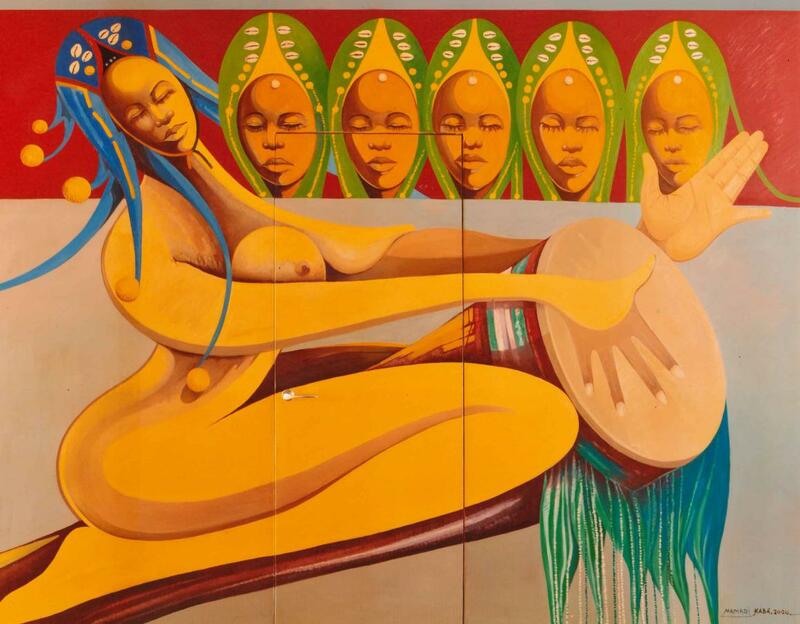 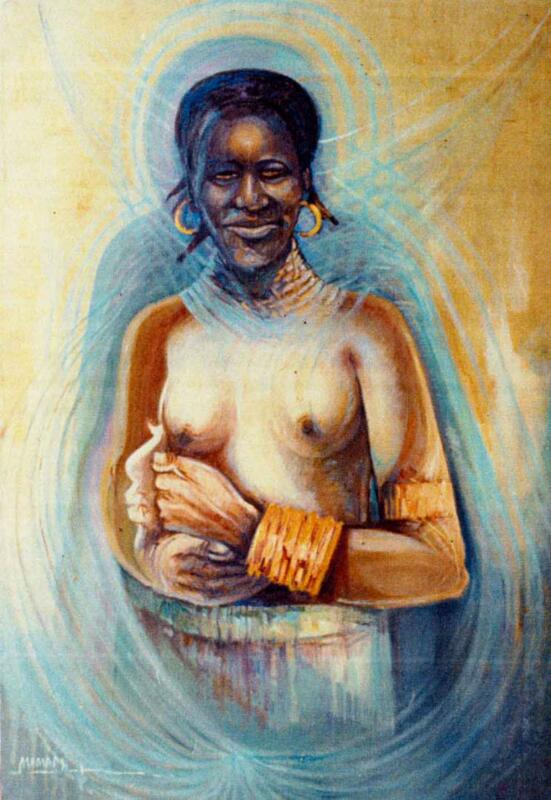 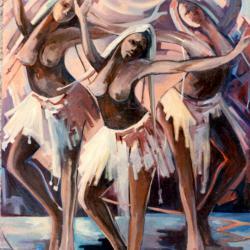 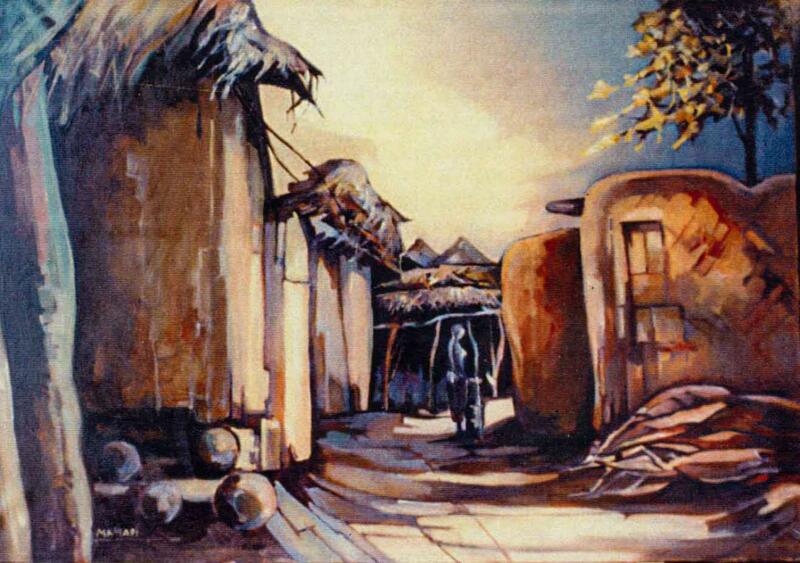 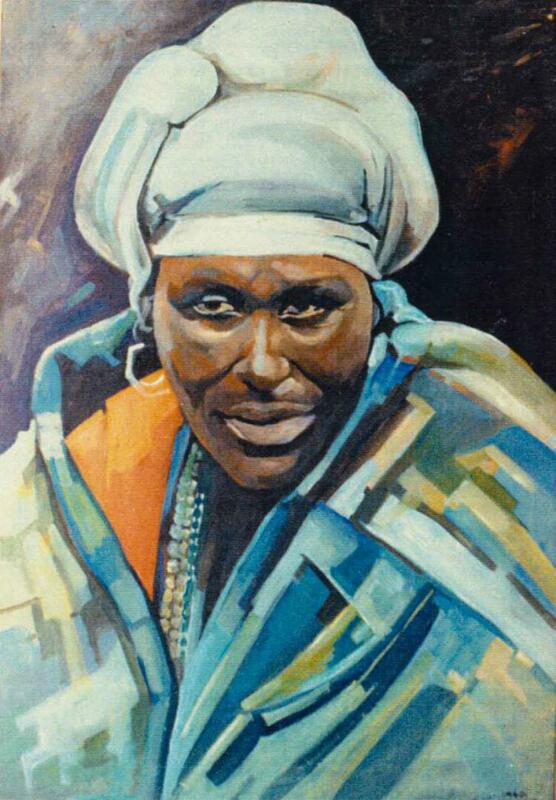 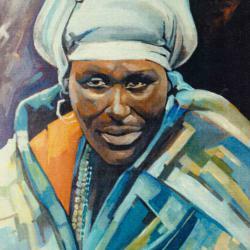 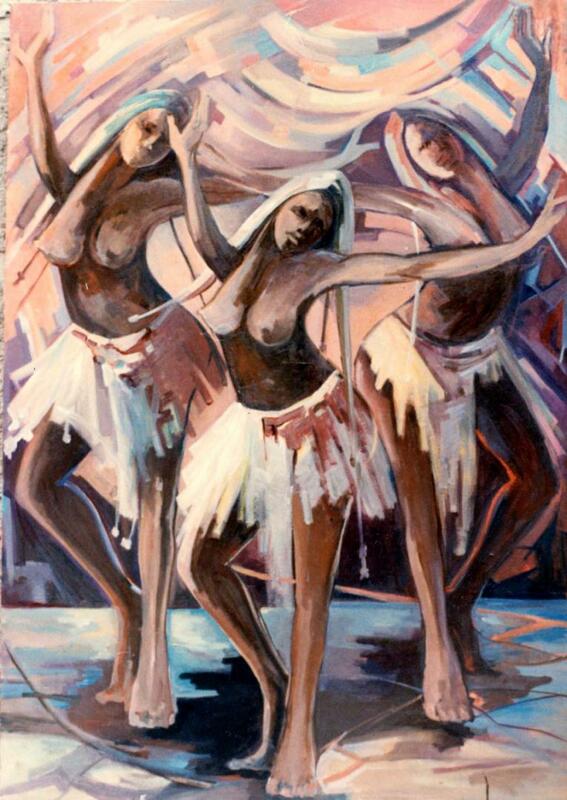 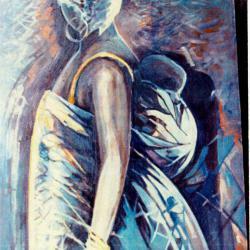 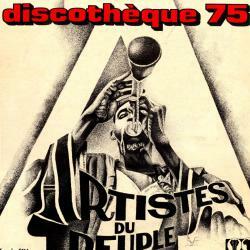 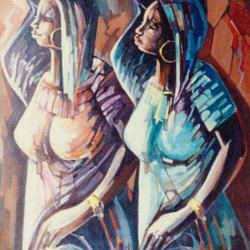 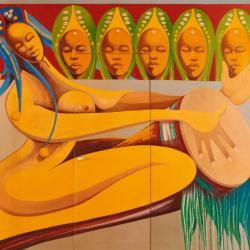 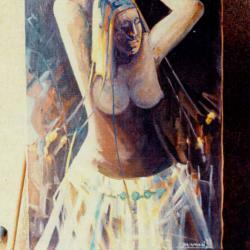 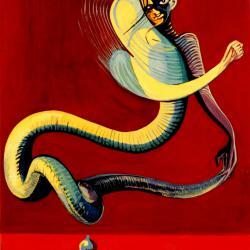 In 1977, he participated in the Pan African Festival Lagos (Nigeria) as a painter and musician. 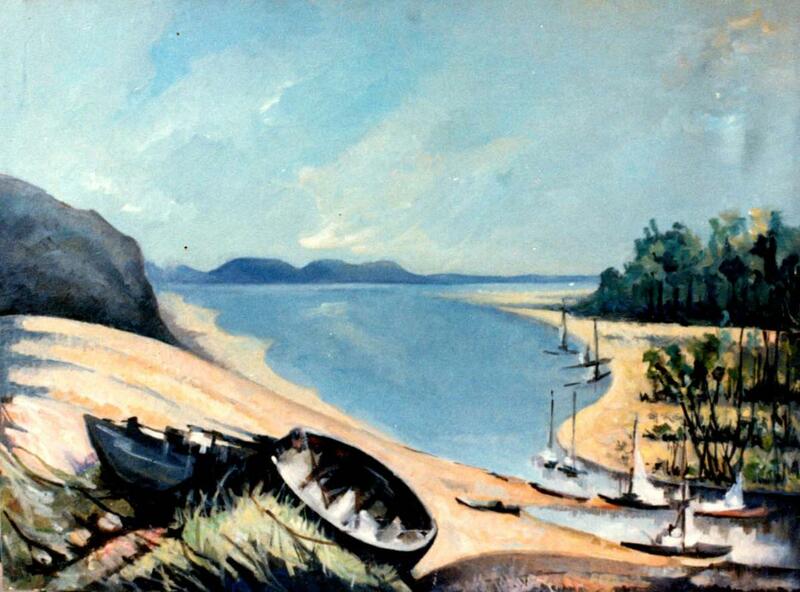 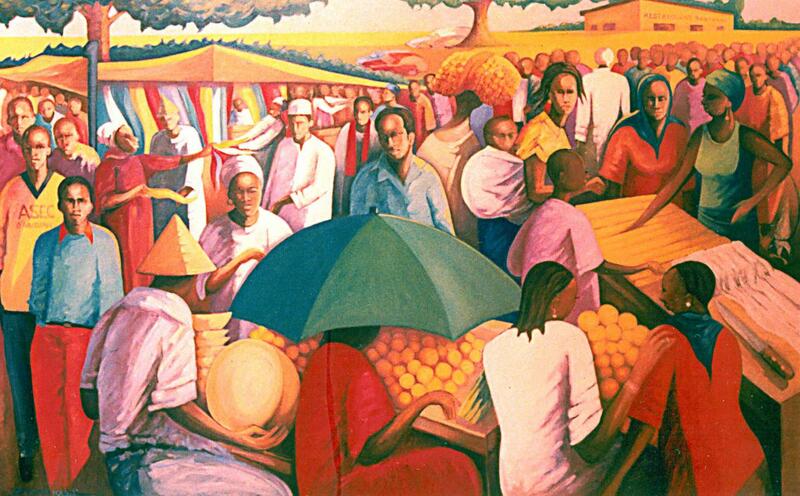 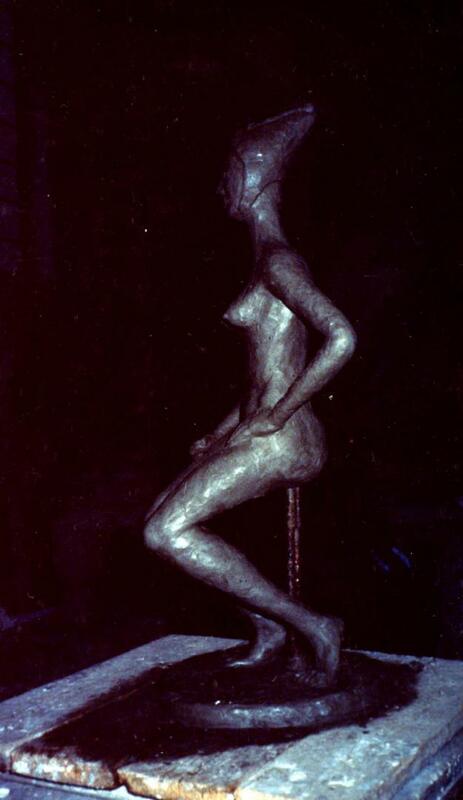 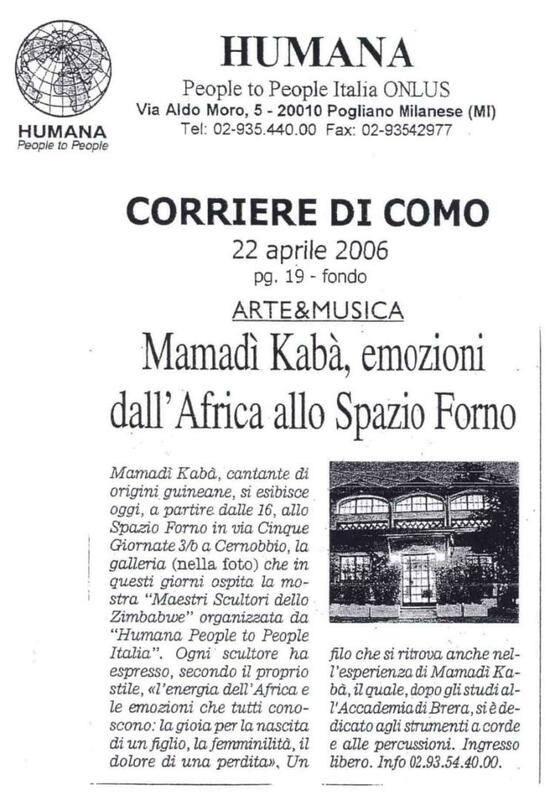 After some years of service to the State of Guinea, in 1978 he obtained a grant of state of his country that led him to attend the Academy of Fine Arts of Brera in Milan (Italy). 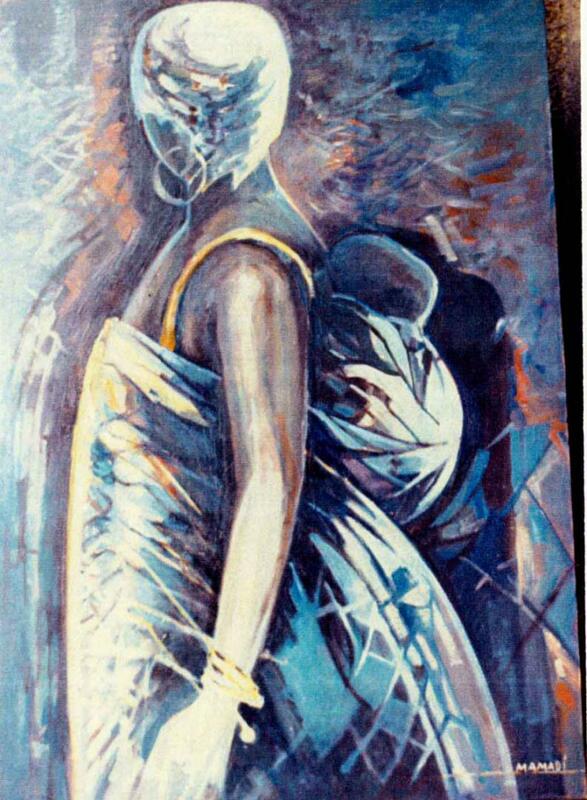 This time, he enrolled in painting classes and a thesis on the importance of masks in African social life in 1984. 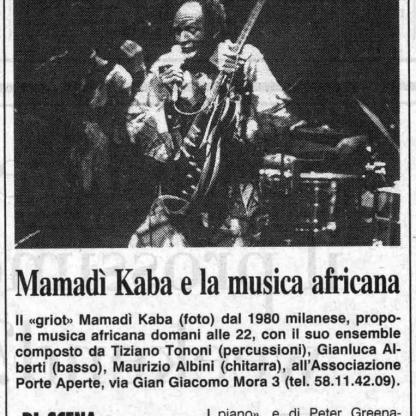 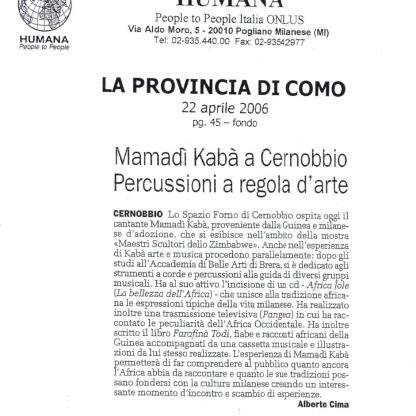 Meanwhile, he continues his work as a musician in various bands forming in Milan, thus developing the technique of string instruments and African percussion. 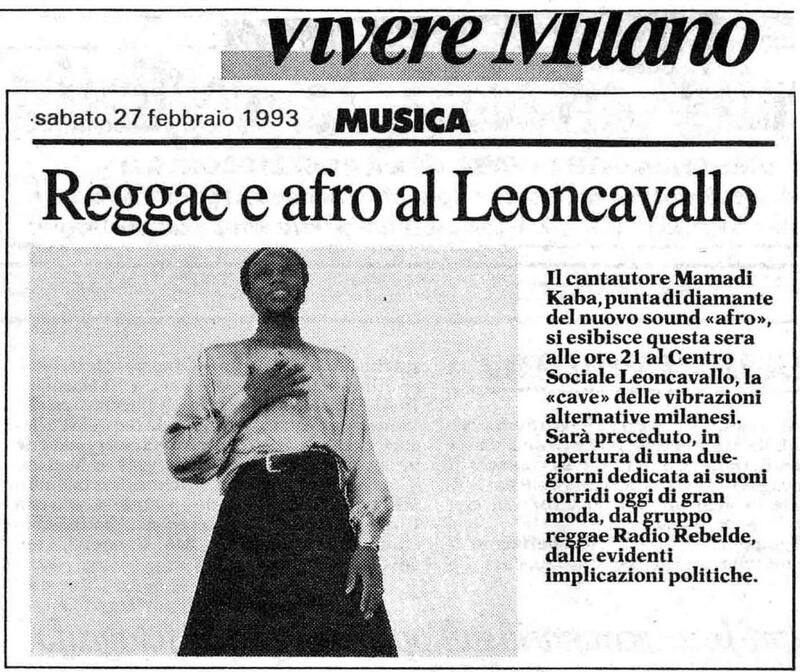 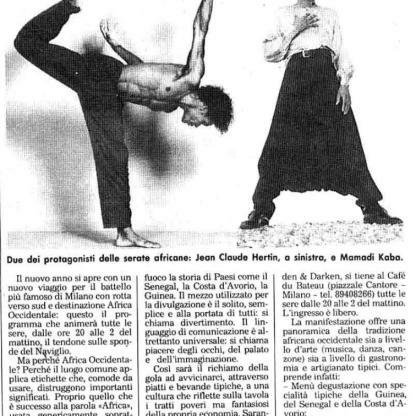 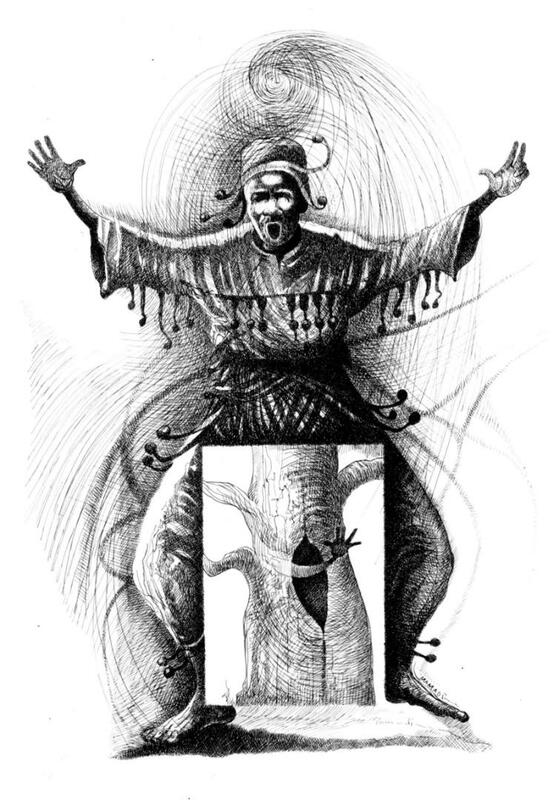 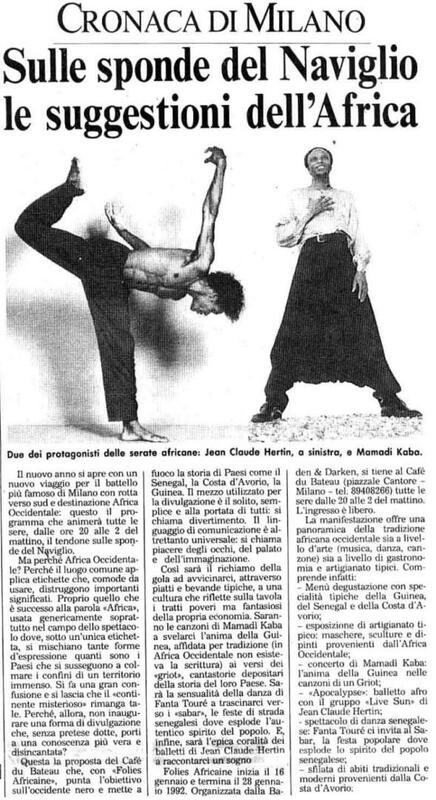 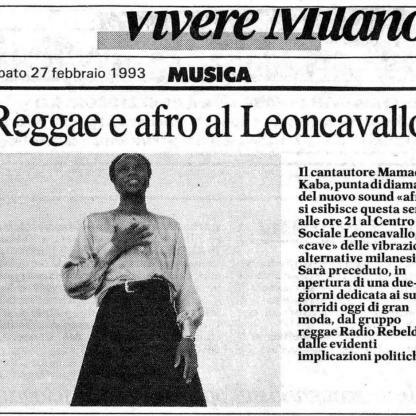 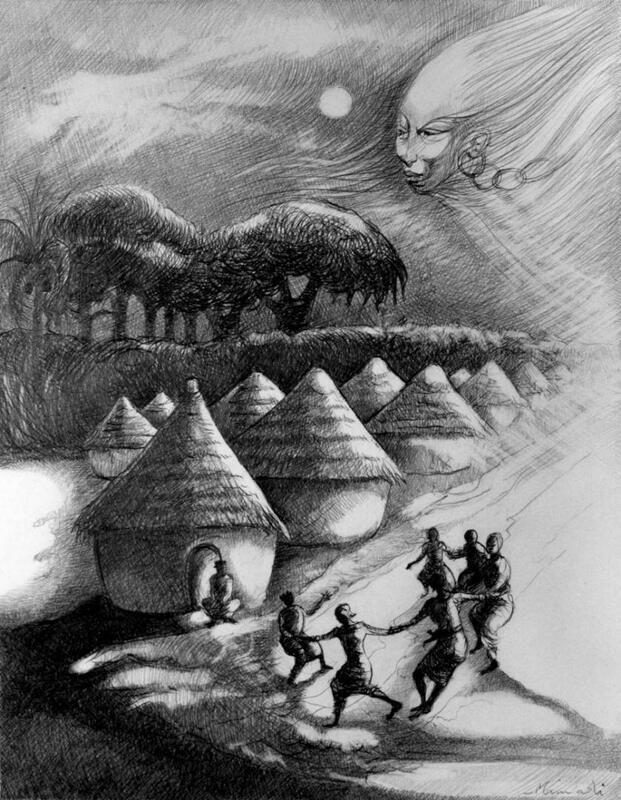 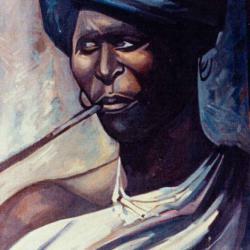 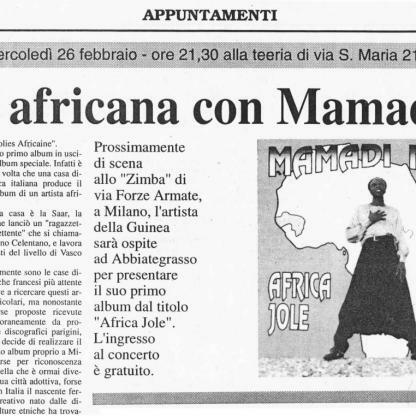 In Italy, Mamadi is among the first pioneers who arrived in the dark continent to propagate African culture, but unlike the established multiculti-cultural French capital, he will meet some difficulties in integrating in Milan where the creative verve of the various ethnic groups did not exist yet. 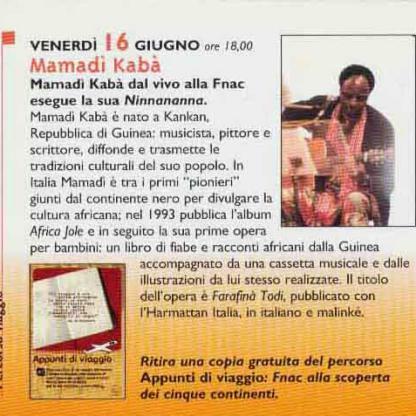 With perseverance, courage and character, Mamadi also managed to pursue his dream of disclosing the best of African culture on Italian soil. 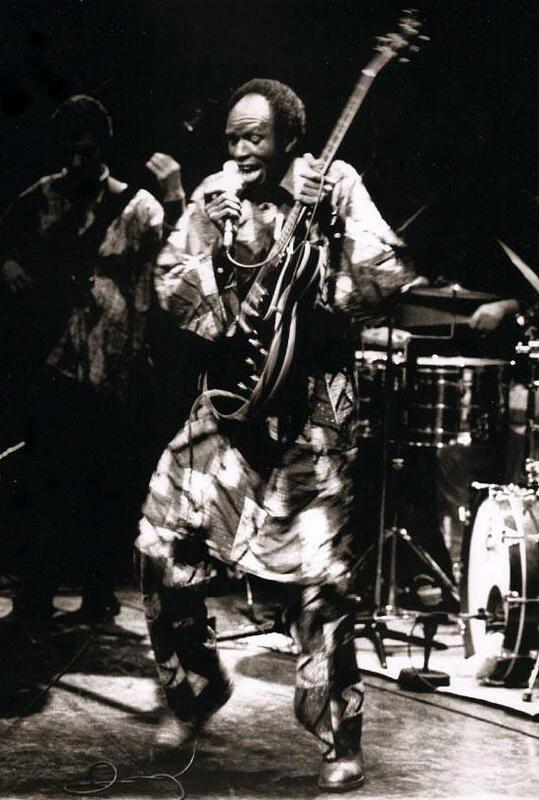 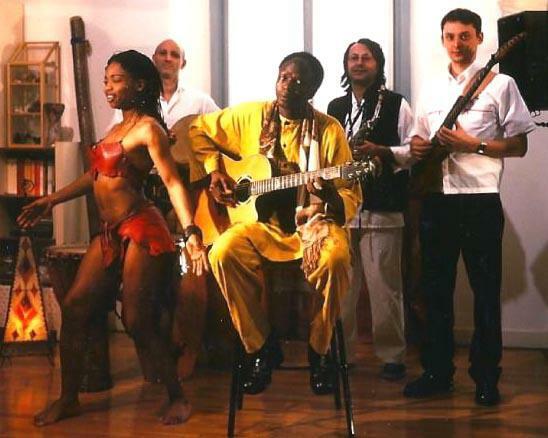 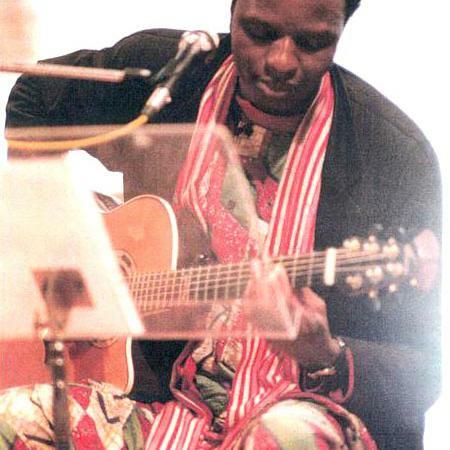 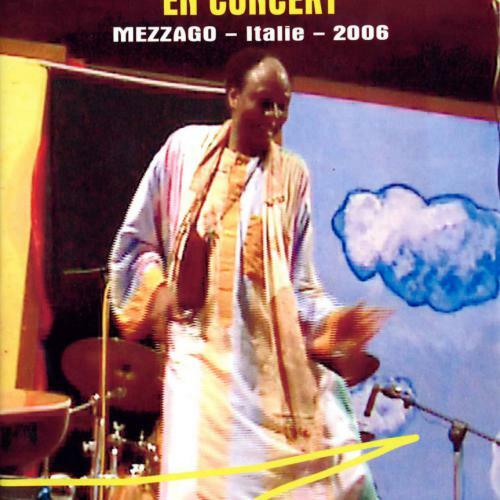 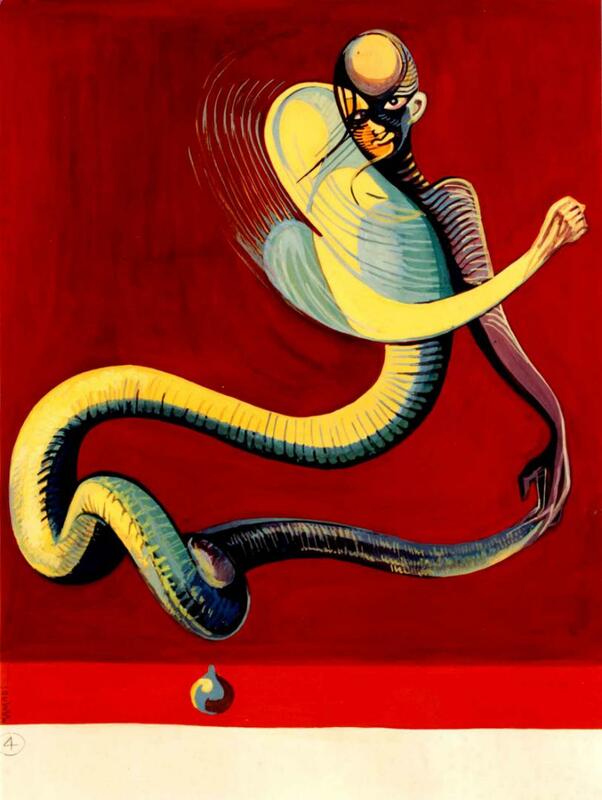 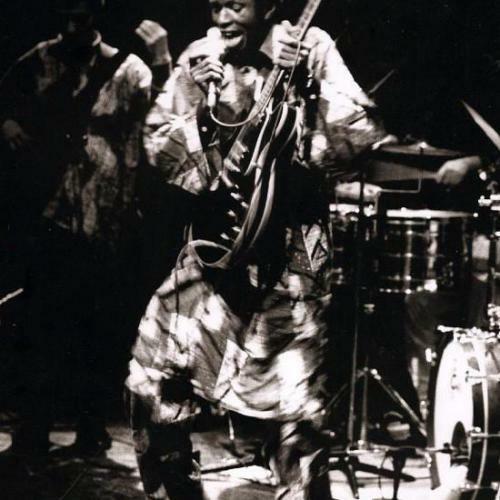 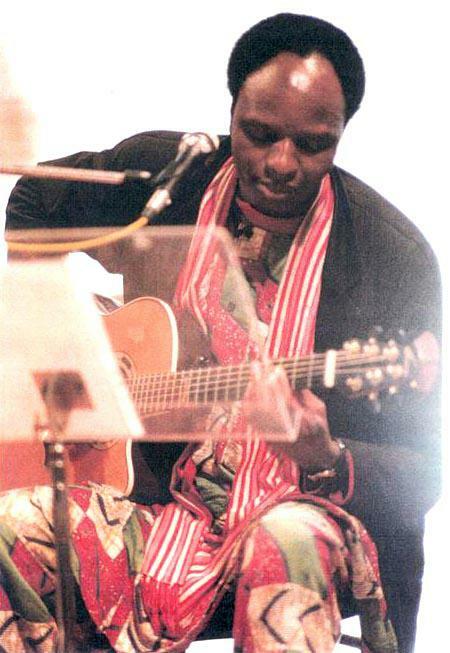 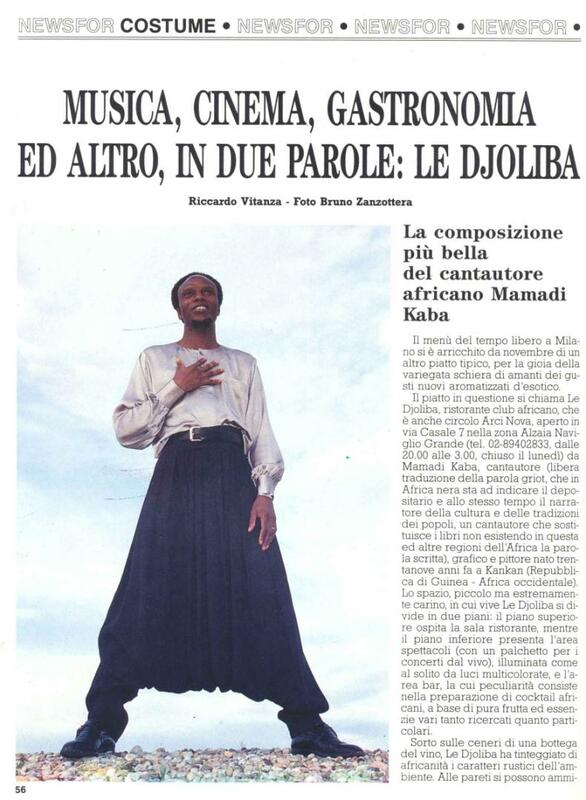 He began playing guitar and drums in Milan nightclubs, not losing sight of the fusion of African culture with “menéghine” tradition; an arduous duty brought forth by the opening of the local Djoliba, meeting place and exchange in various fields: music, dance, painting, sculpture, poetry. 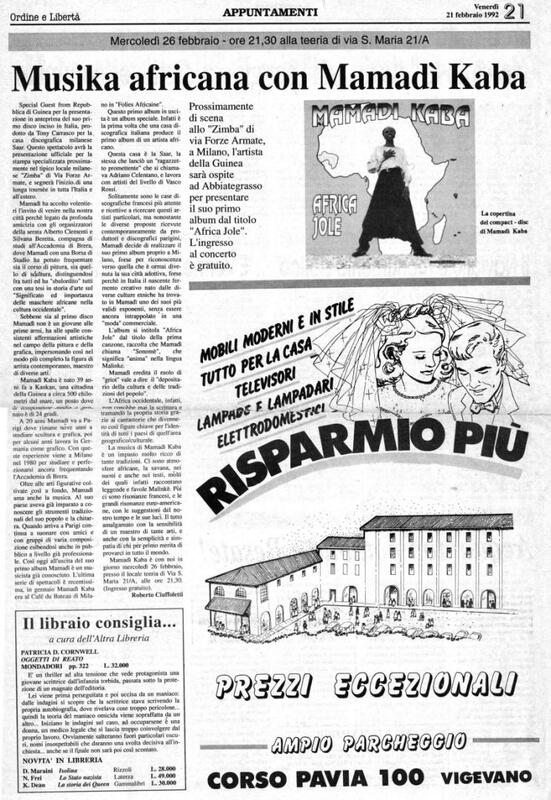 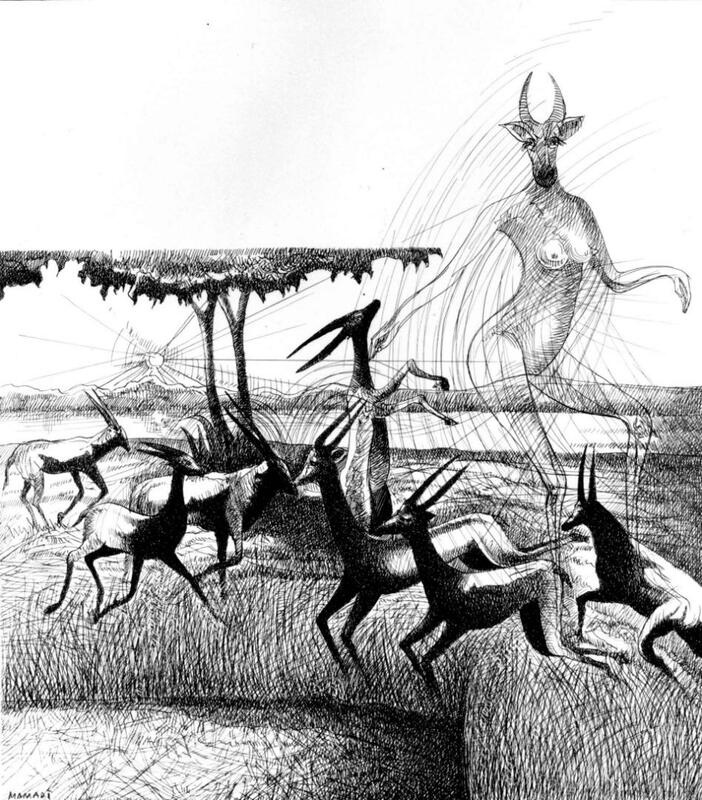 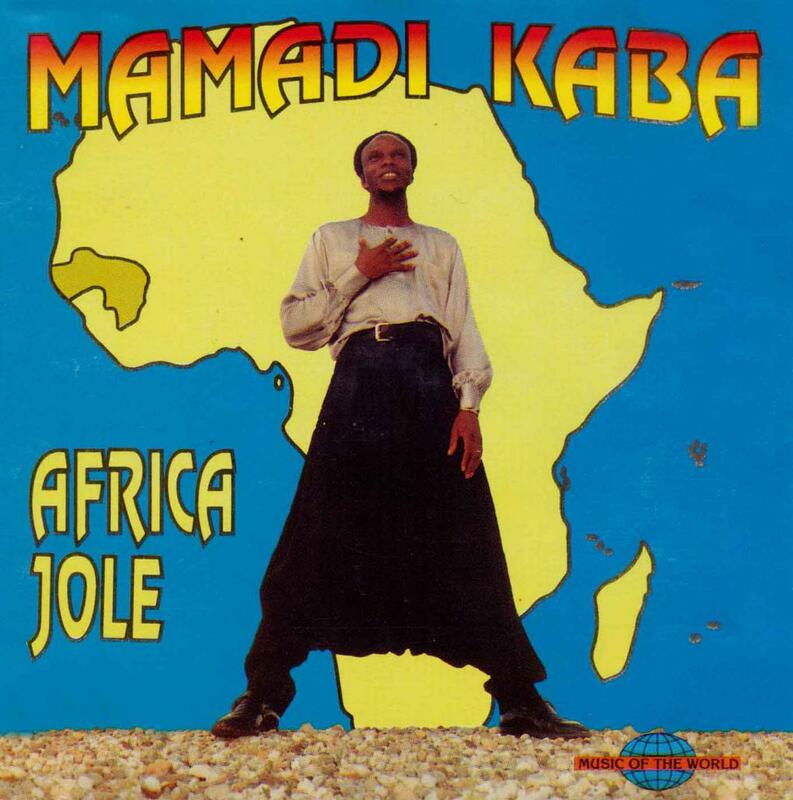 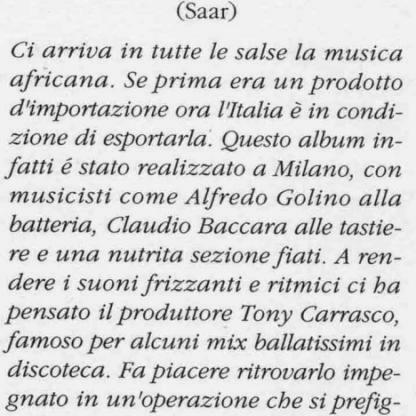 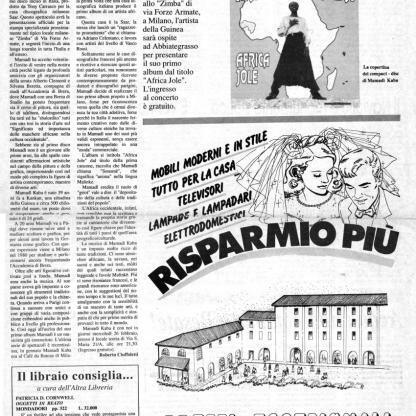 Thus was born the idea of making a debut in Italy: Africa Jole, published in 1992 by the SAAR, independent label, thanks to the foresight of its founder Walter GURTLER. 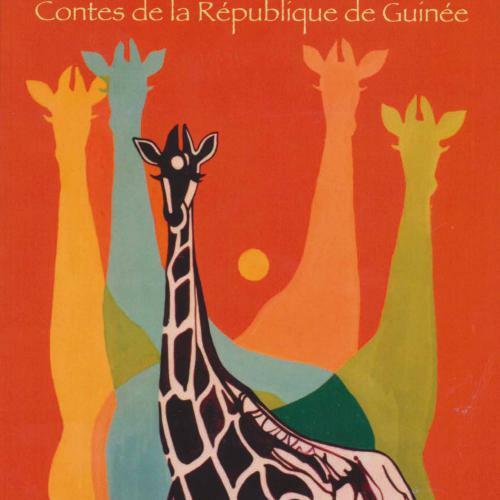 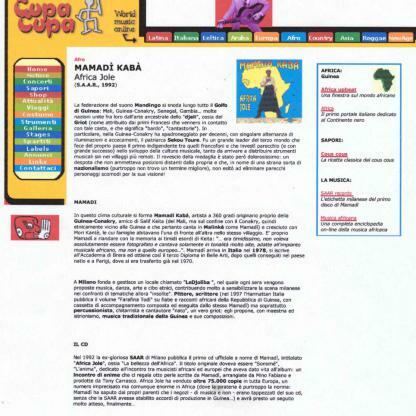 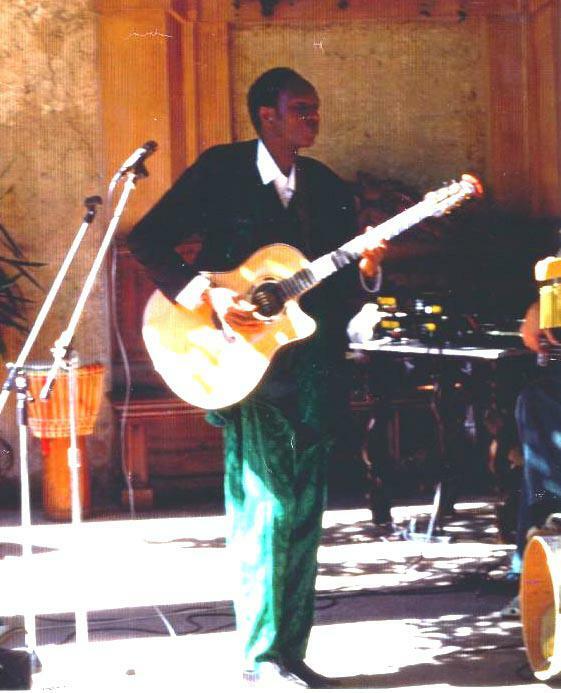 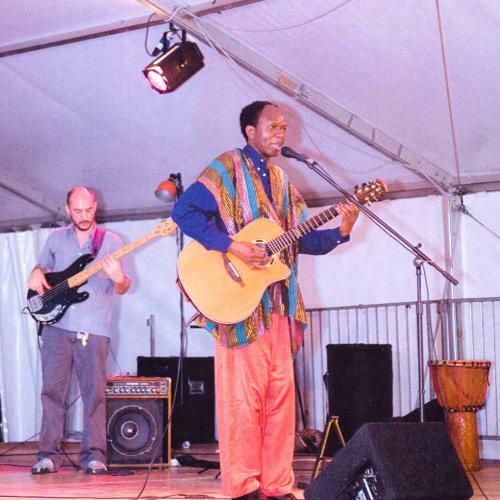 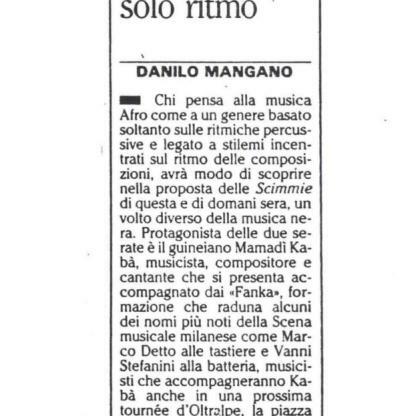 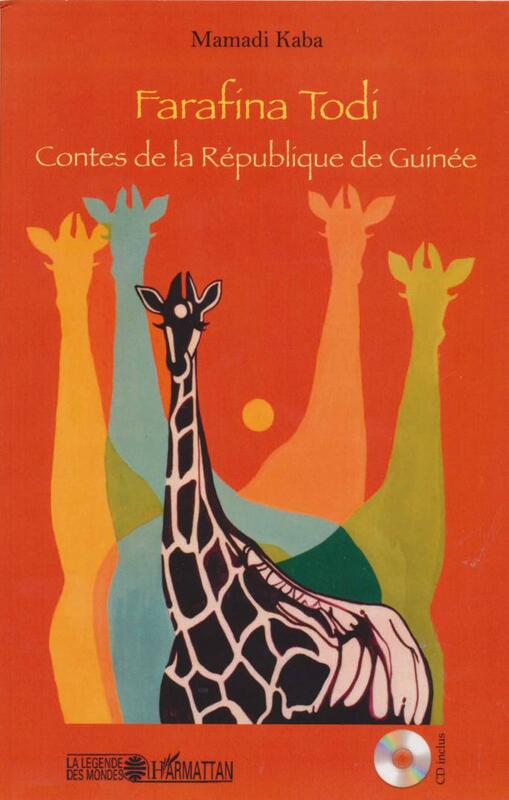 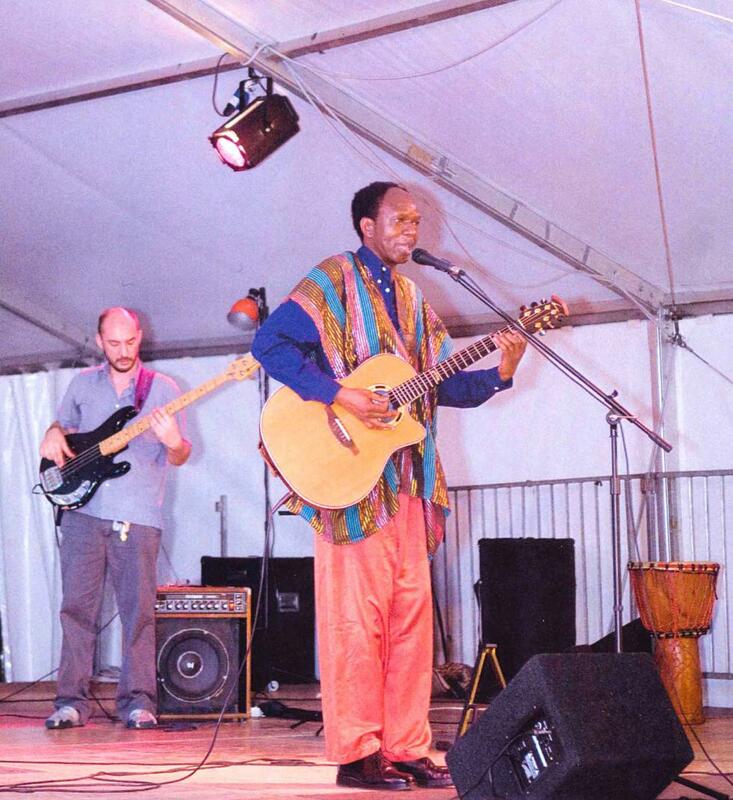 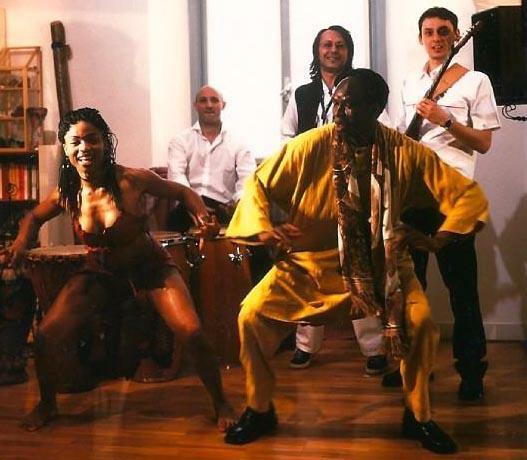 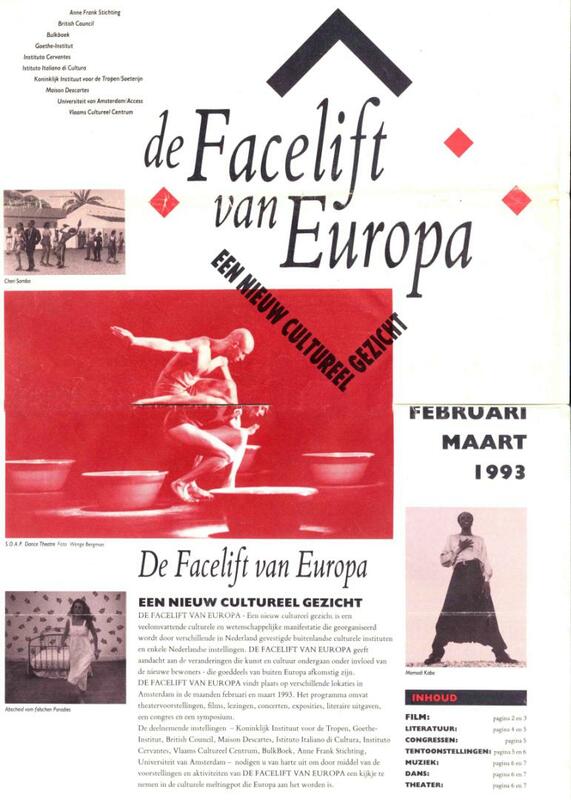 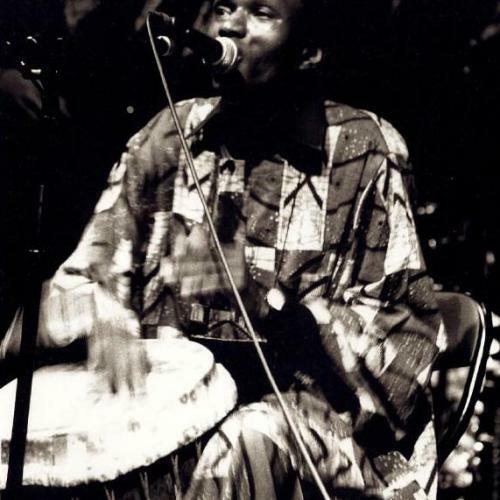 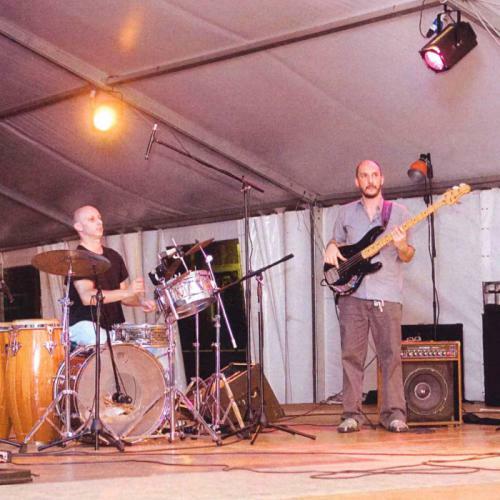 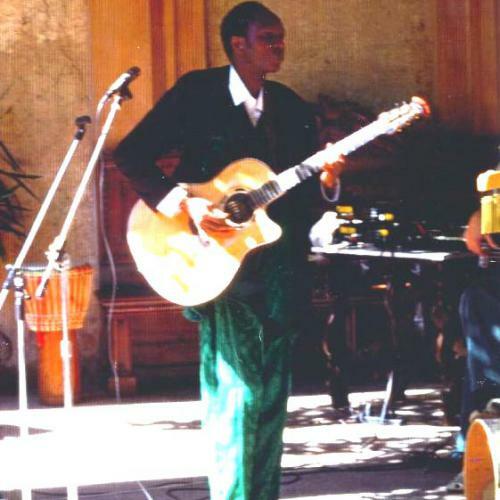 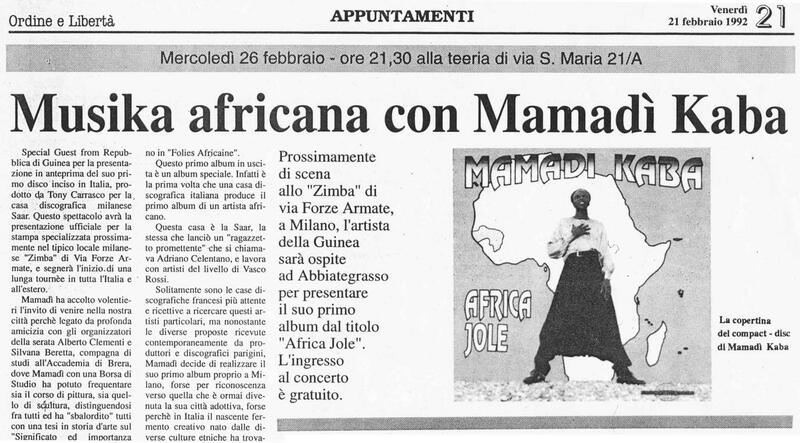 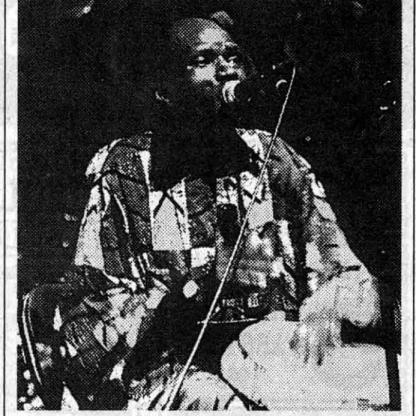 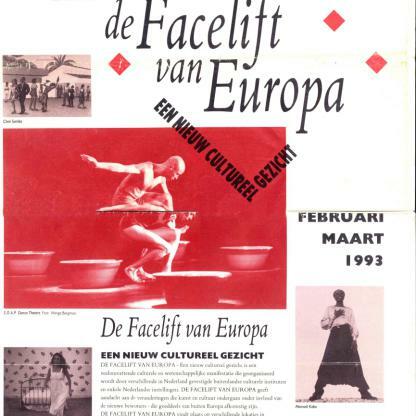 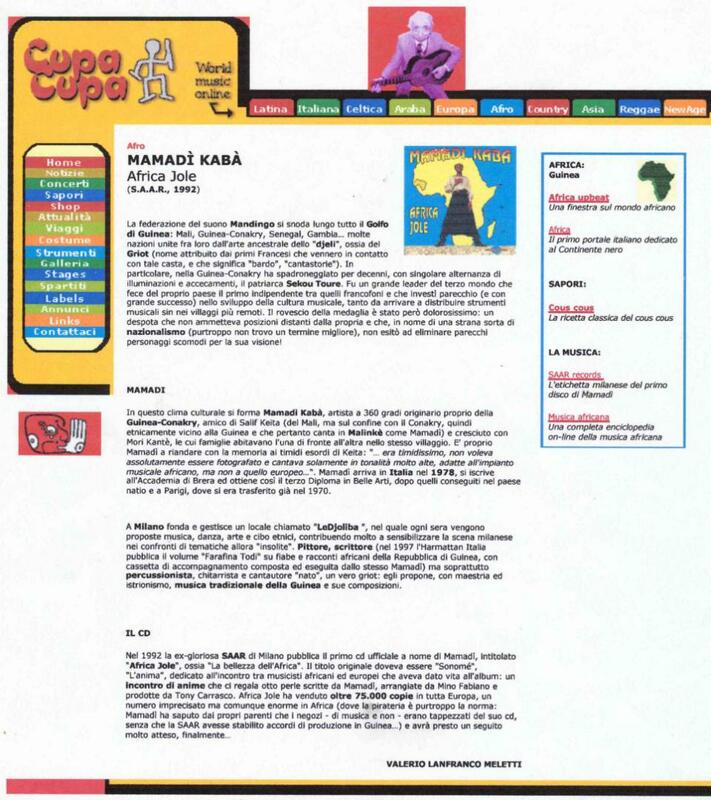 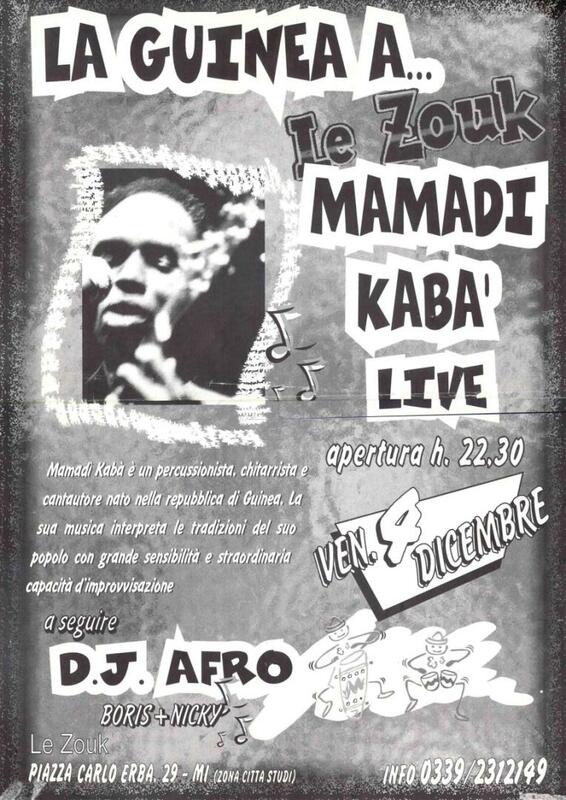 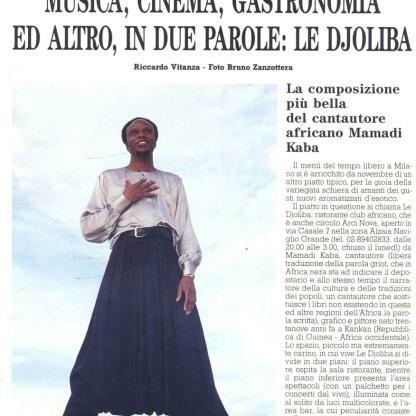 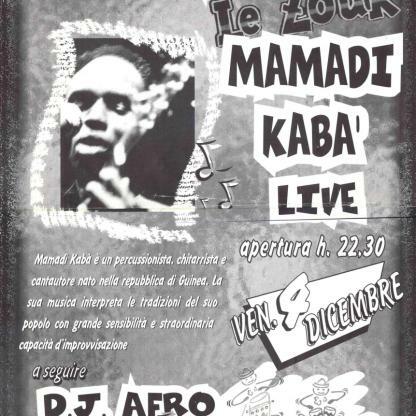 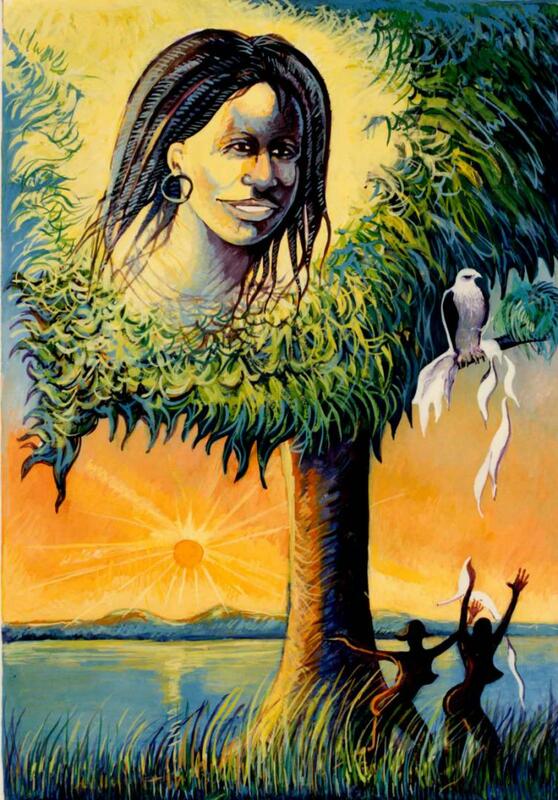 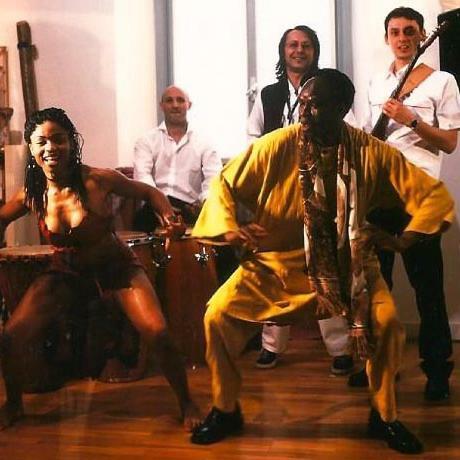 It is important to remember that, just after the release of the album Africa Jole, Mamadi had the opportunity in 1993 to tour in Holland with participation in the festival of "Facelift van Europa '. 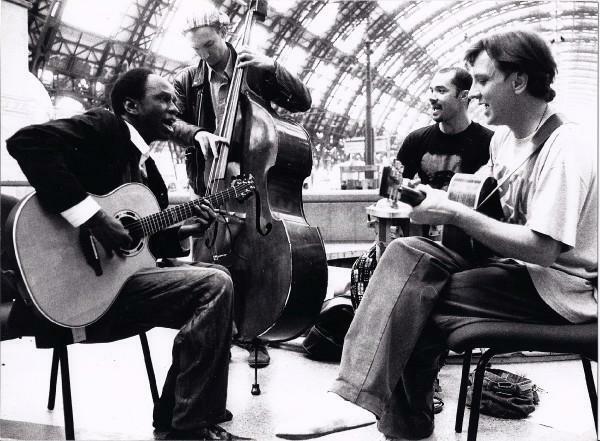 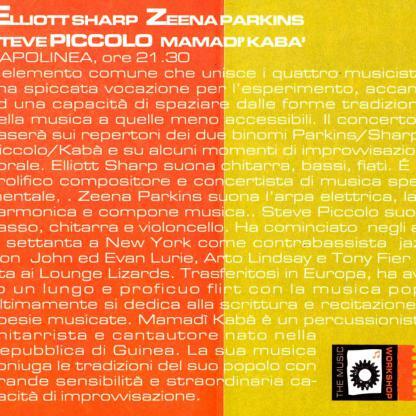 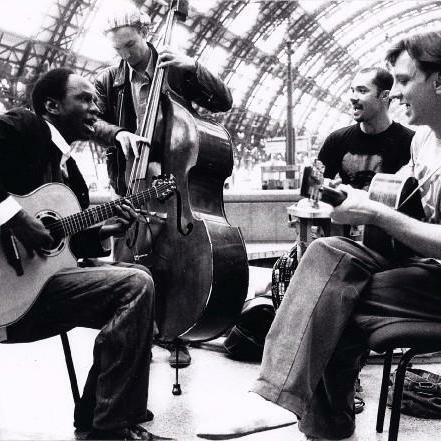 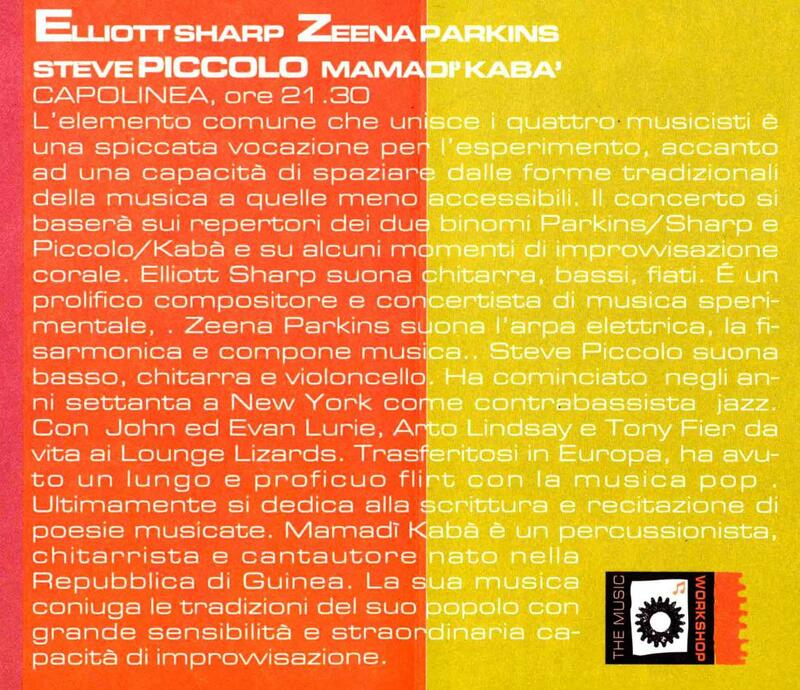 In 1995, he produced in collaboration with Melchiore Gerbino (a great Italian traveler) a television documentary TELE ERAP 3: Pangea on West Africa, he played in a memorable concert with three New Yorkers who are internationally renowned Steve Piccolo, Zeena Parkins and Eliot Sharp held at Capolinea Milan. 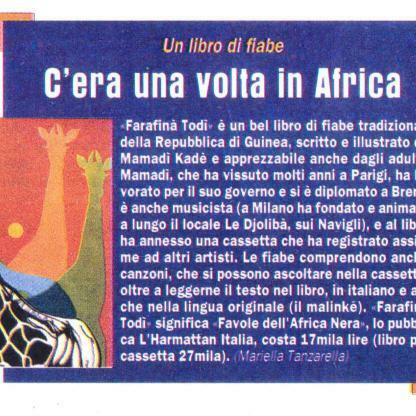 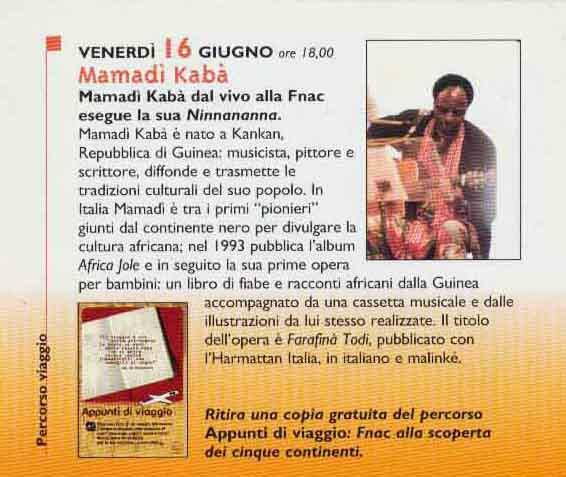 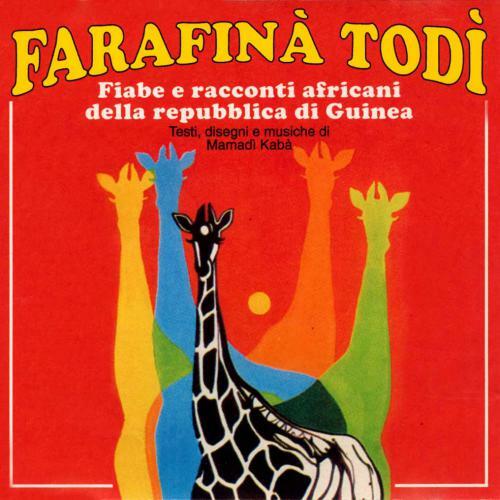 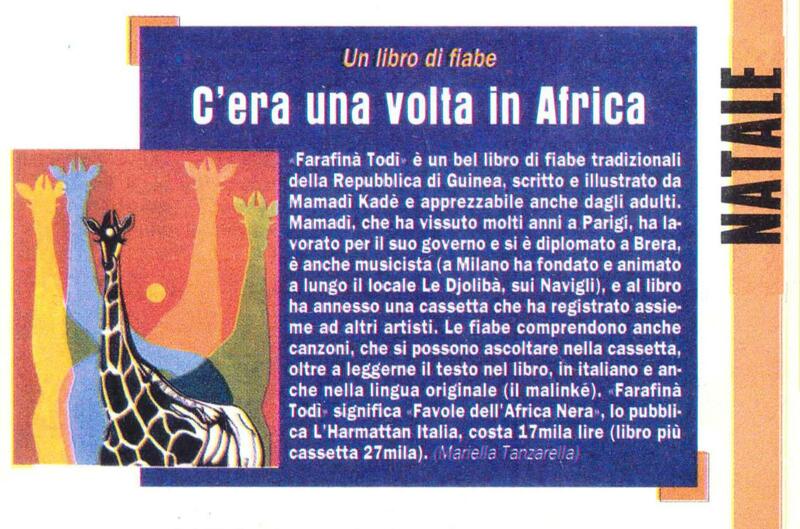 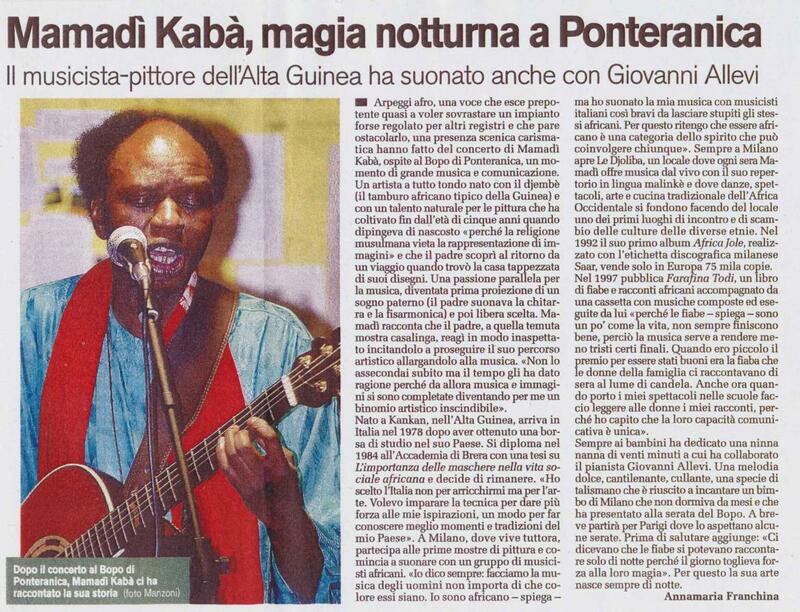 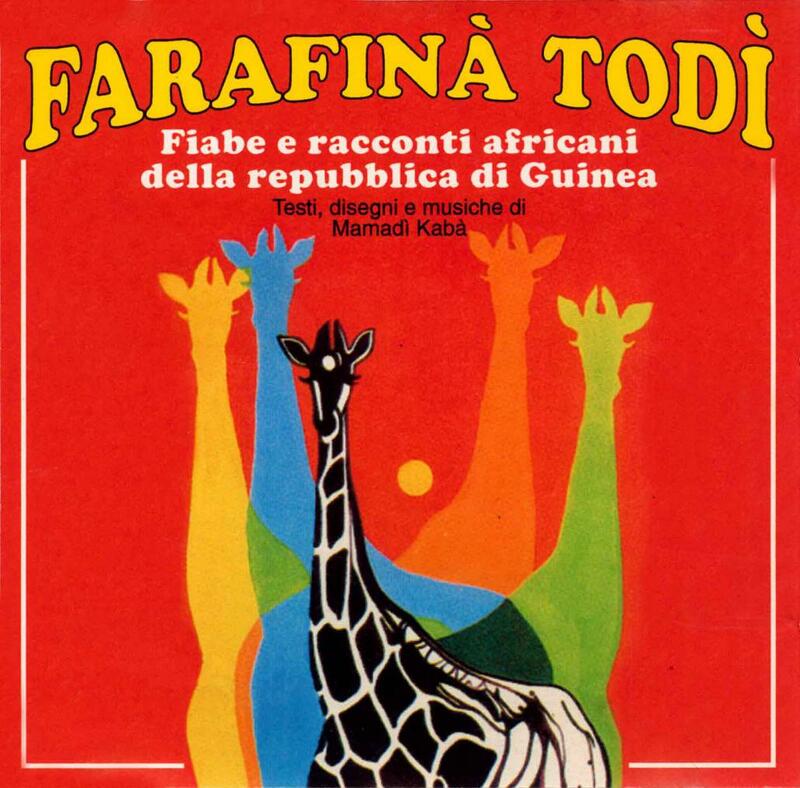 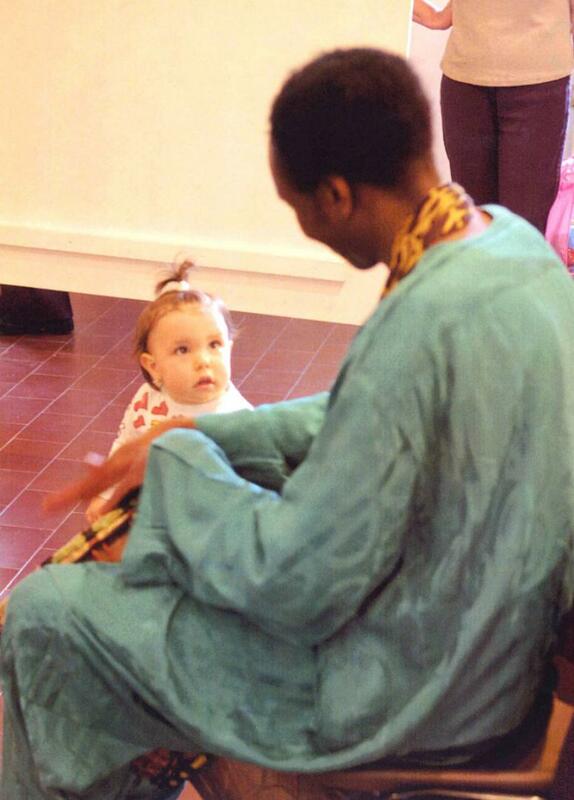 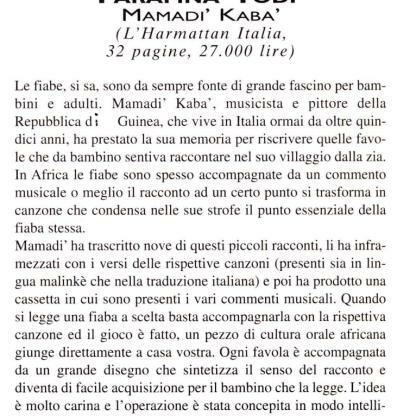 Mamadi is not only a musician, he also holds conferences across the Africanness in Italy, in 1997 he published a book of children's stories of his beloved Guinea: Farafina Todi along with a music cassette and of his own illustrations with L'Harmattan Italia (Bilingual Italian / Malinke) and L'Harmattan Paris (French / Malinke). 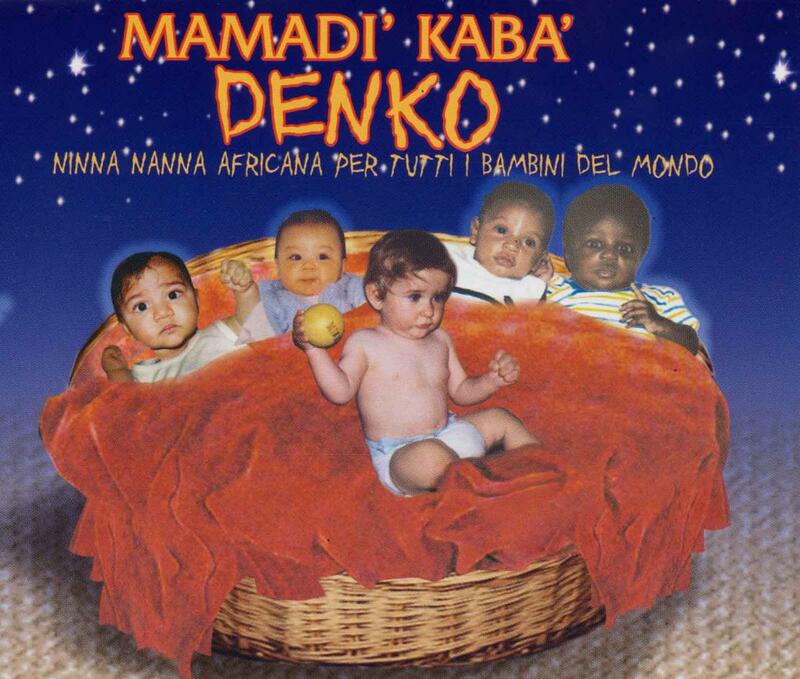 In 2006, Mamadi, publishes a wonderful lullaby to facilitate children's sleep, titled Denko with the participation of Giovanni Allevi, one of the best pianists in Italy right now. 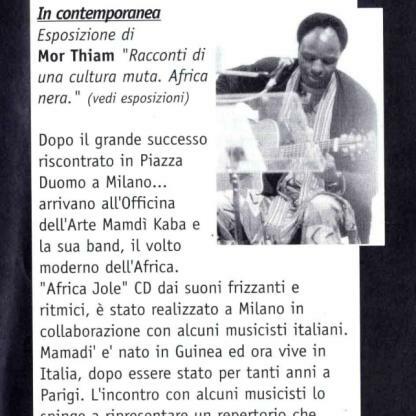 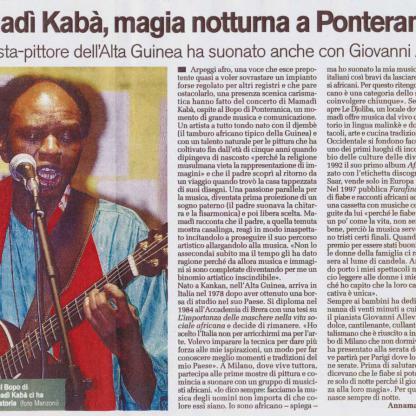 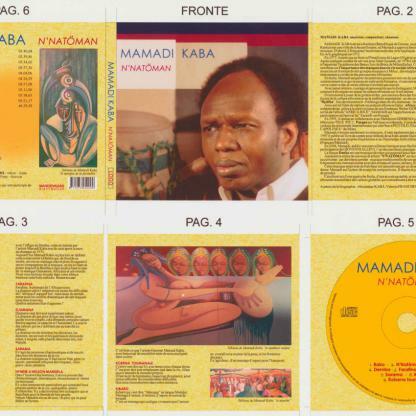 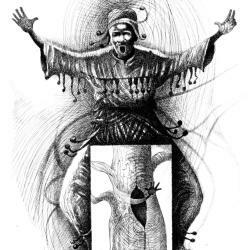 Now the release of his new album N'NATÖMAN is the pinnacle of many experiences Mamadi has accumulated in recent years: traditional music of his country seasoned with flavors that derive from his associations with international artists of African, Italian, French, American, Brazilian, etc. 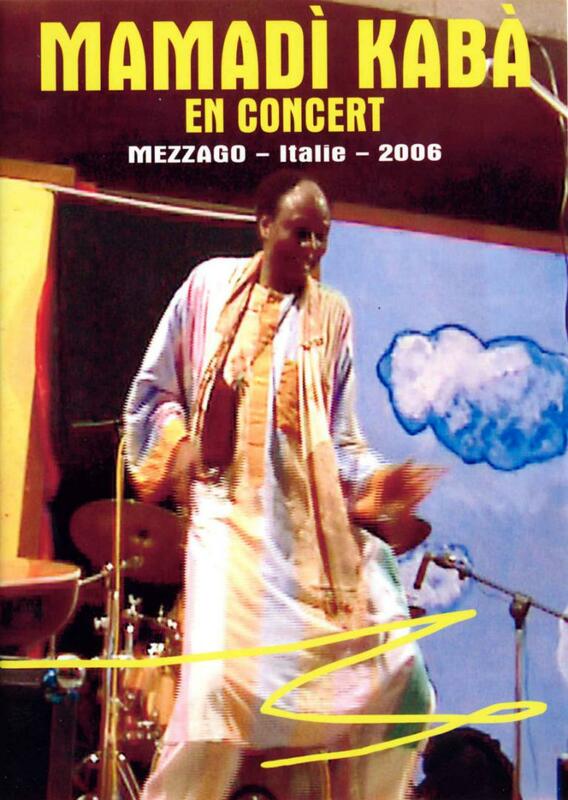 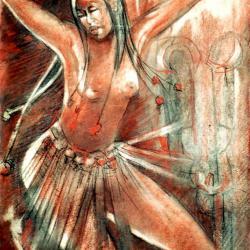 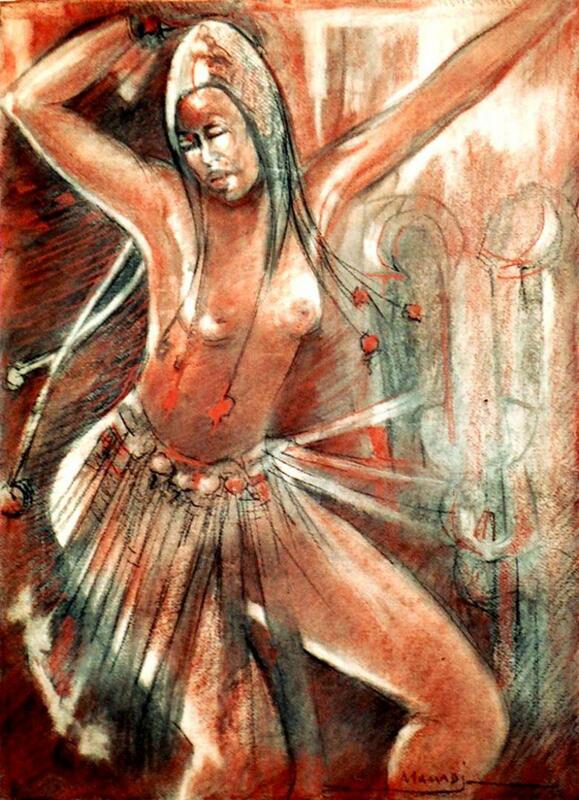 This music emanates freshness and is characterized by a natural dynamism and spontaneity that invites you to dance. 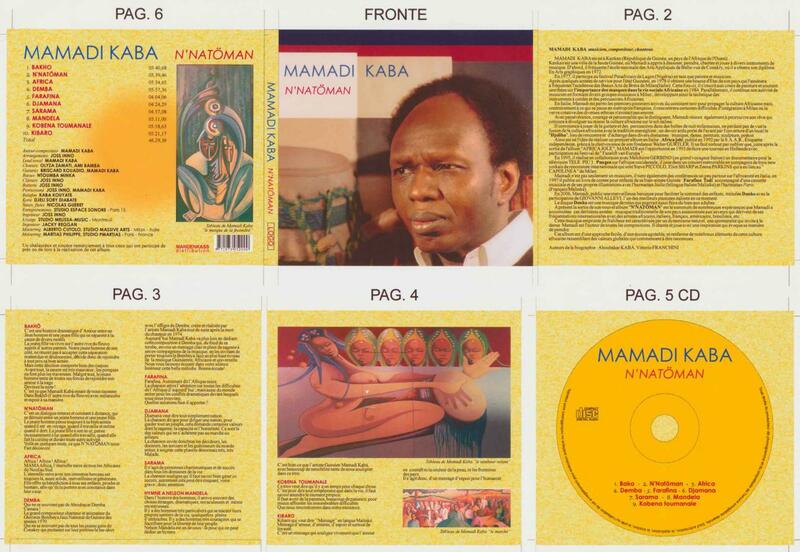 Mamadi is the author of all compositions. 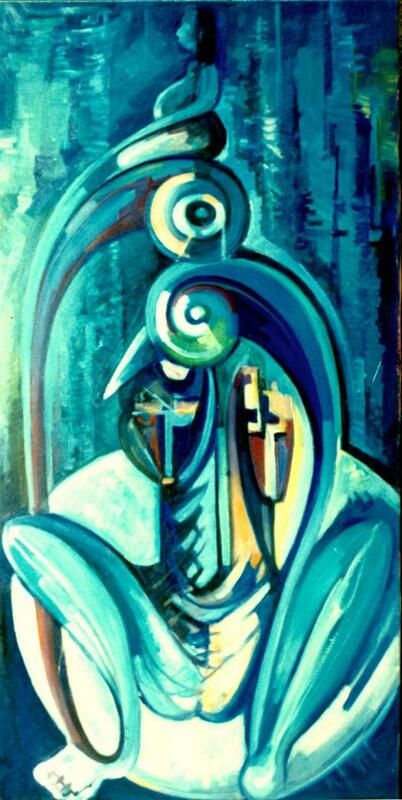 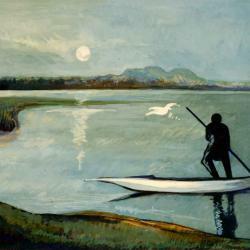 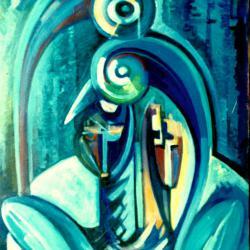 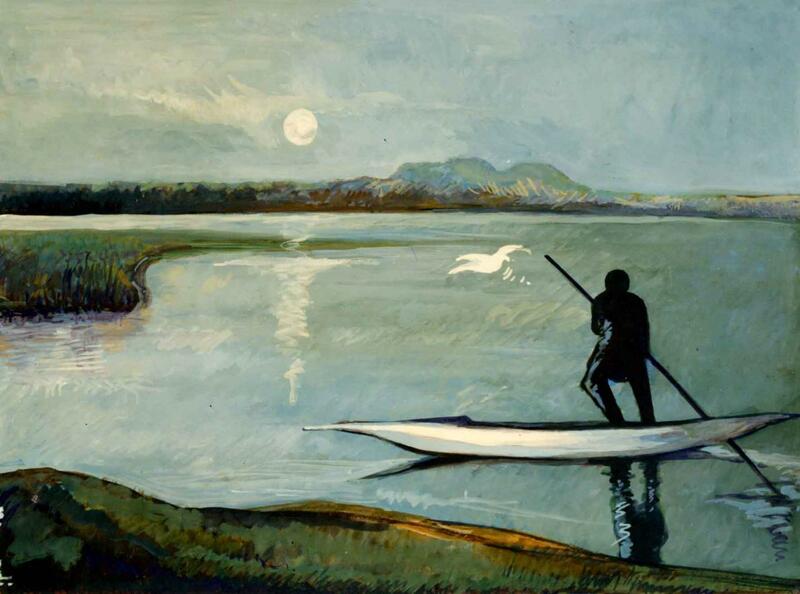 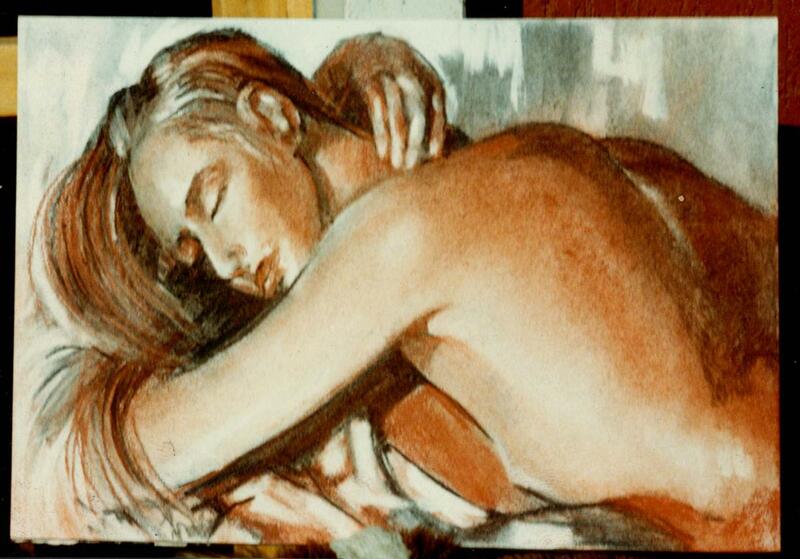 He sings and plays with an inspiration that evokes his style of painting. 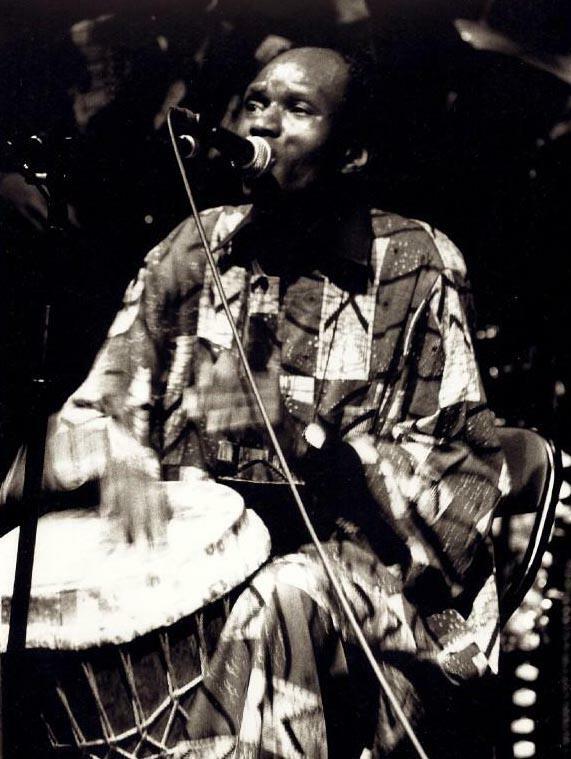 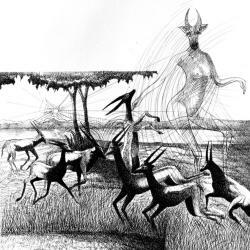 This album is an easy approach, an enjoyable listen, and contains many elements of African culture that brings together global values that are beginning to be recognized. 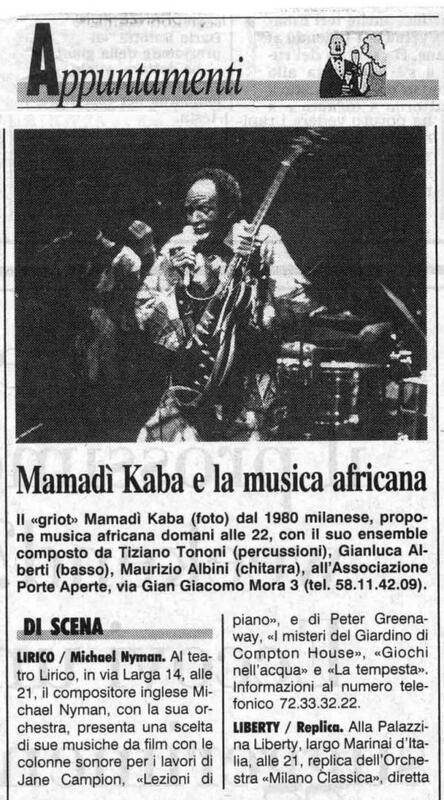 The father of Mamadi Kaba school principal will discover his talent only nine years later, because Mamadi has carefully hidden his activity for fear of being considered a loafer. 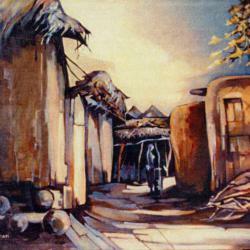 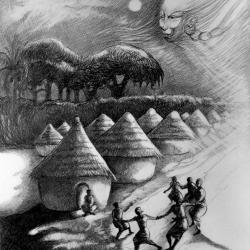 It must be emphasized that at the time, in some African countries, the practice of drawing or painting was frowned upon by many parents. 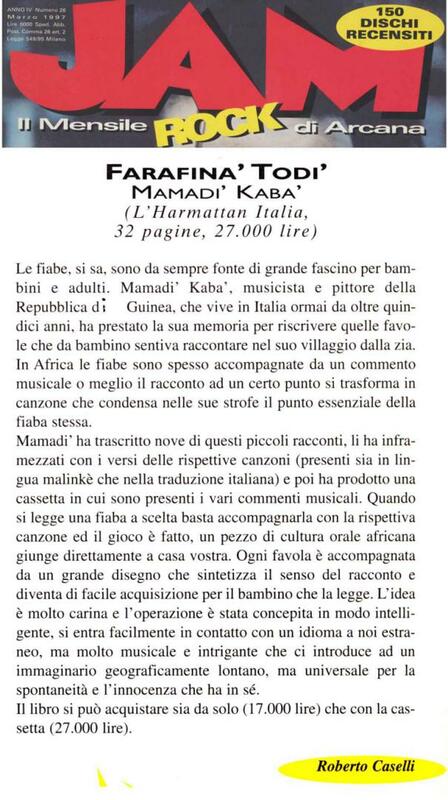 After the discovery of his work by his father, the young Mamadi receives the sincere compliments of this one and his unconditional encouragement for the continuation of his wonderful journey. 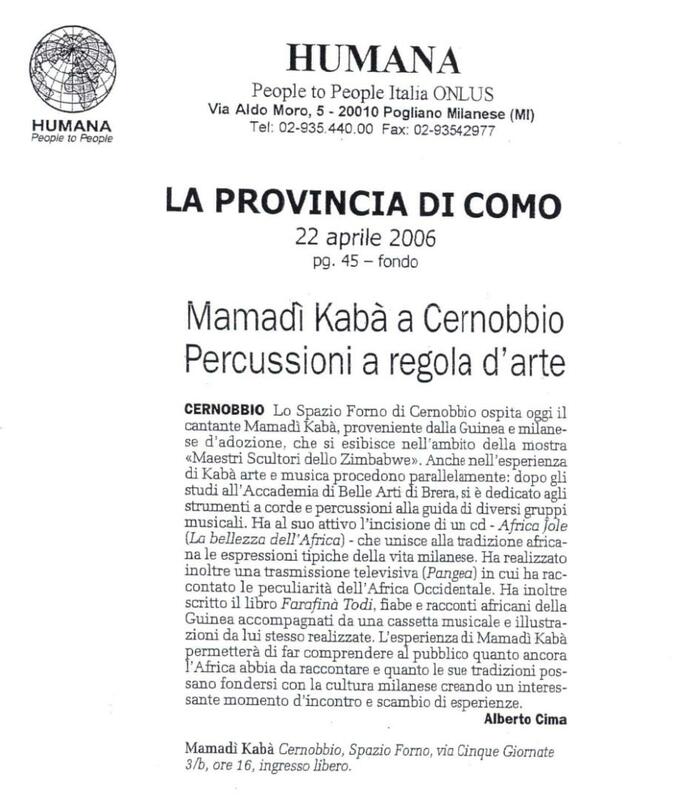 It was a joy but especially a relief for Mamadi. 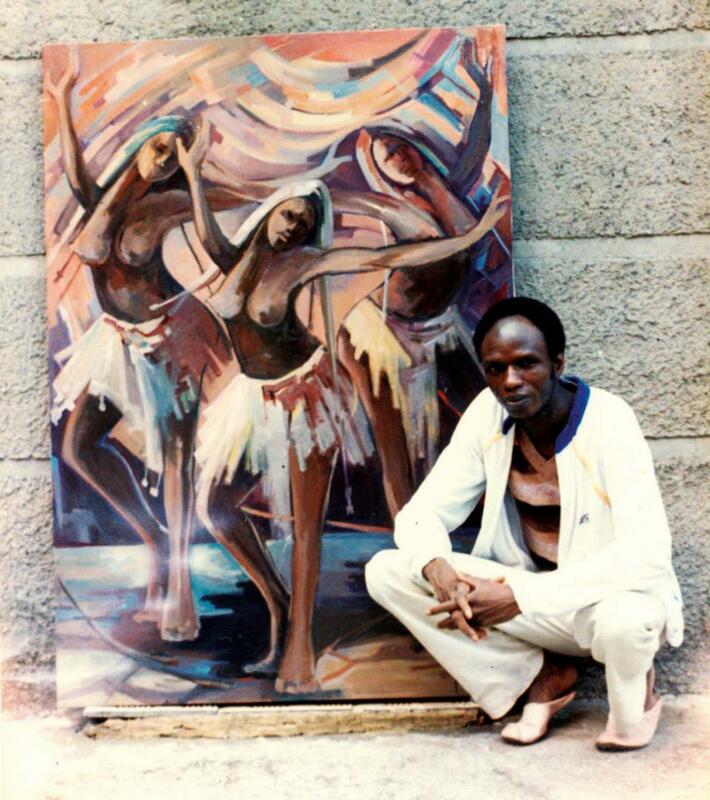 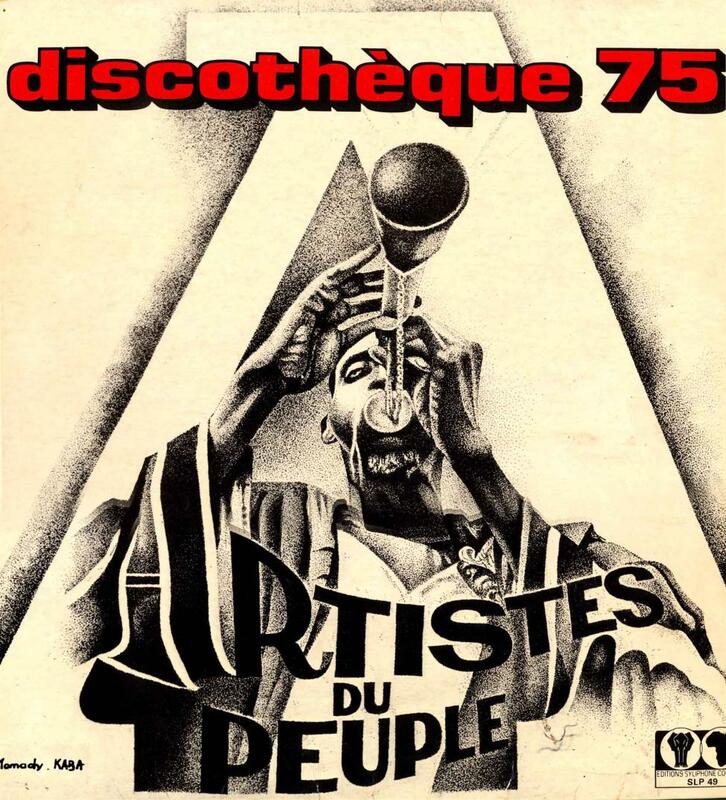 Shortly after, he first attended the National School of Applied Arts Belle-Vue CONAKRY where he graduated or Graphic Arts with the mention of best student of his promotion in 1972. 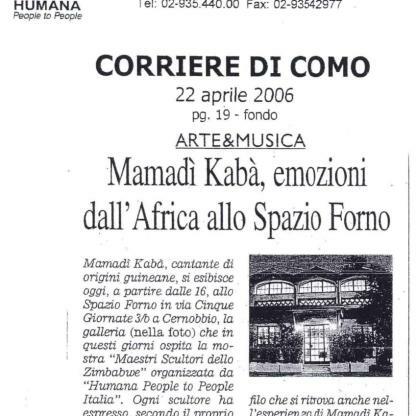 After a few years of service for the state Guinean, in 1978 he obtained a state scholarship from his country that will bring him to attend the Academy of Fine Arts Brera MILAN (Italy). 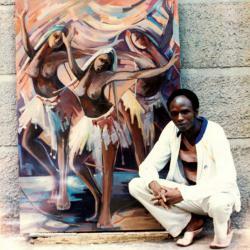 This time, he enrolled in painting classes and supported a thesis on the importance of masks in African social life in 1984.